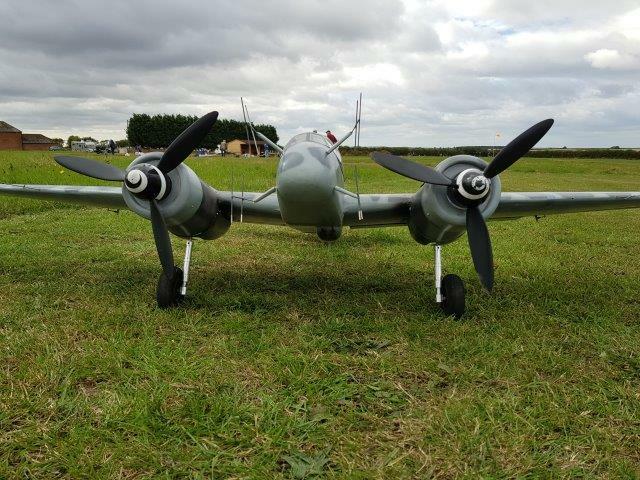 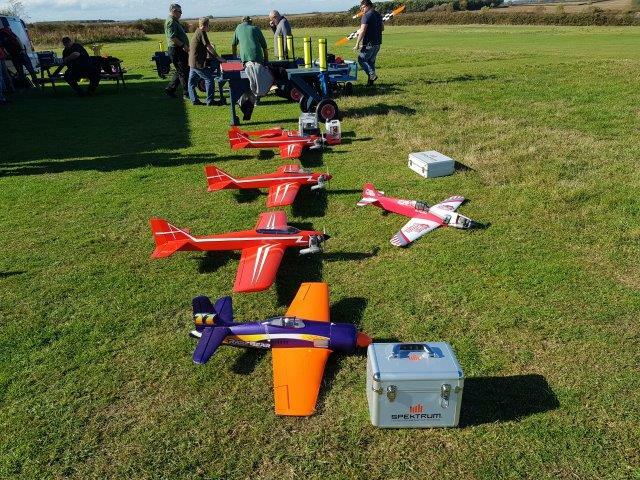 Following on from the busy summer the activity continued into the Autumn with every weekend booked out to model flying events. 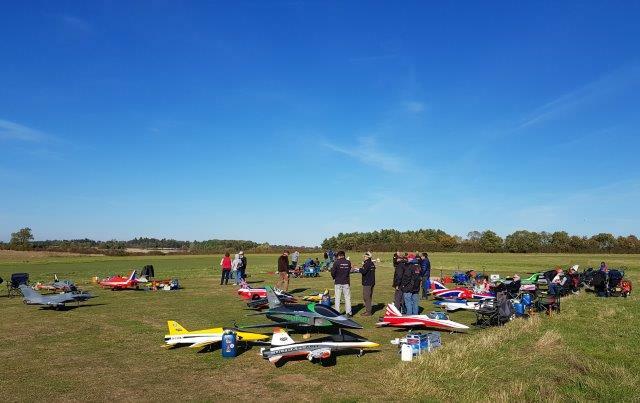 As we moved into late summer the weather continued to smile on us with the majority of events benefitting from great flying conditions. 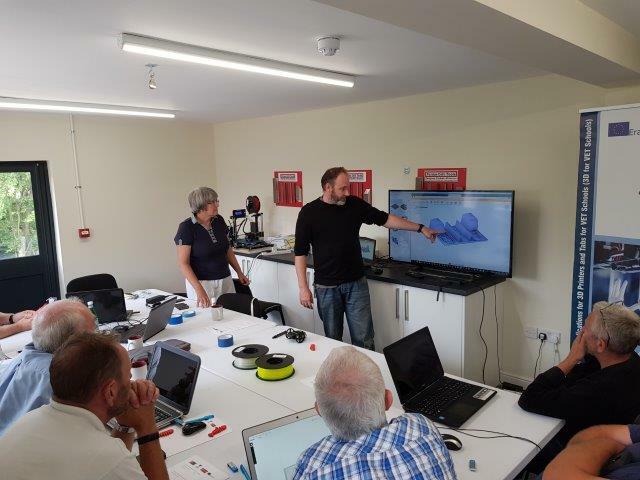 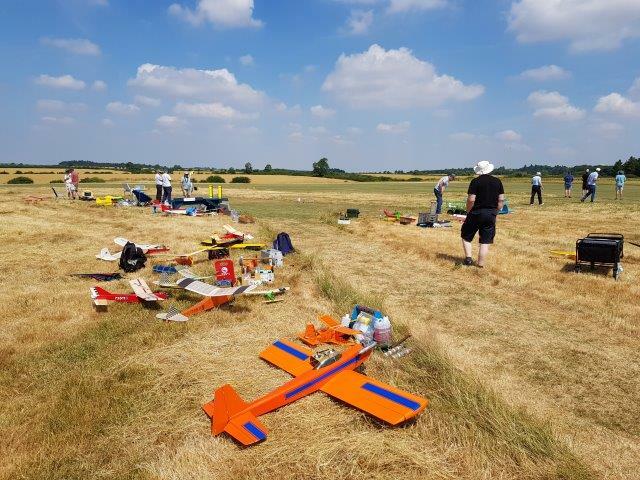 Following the successful Retrofest weekend we accommodated an Achievement Scheme Fly-in which was well attended and assisted a number of members in preparing for and passing A and B tests, a really positive weekend and to be repeated twice in 2019. 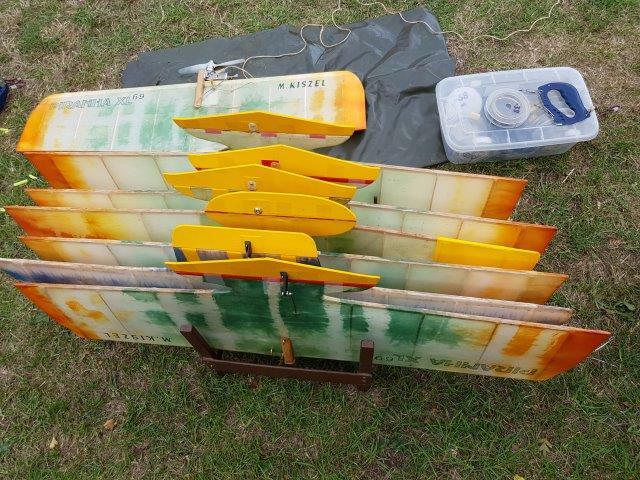 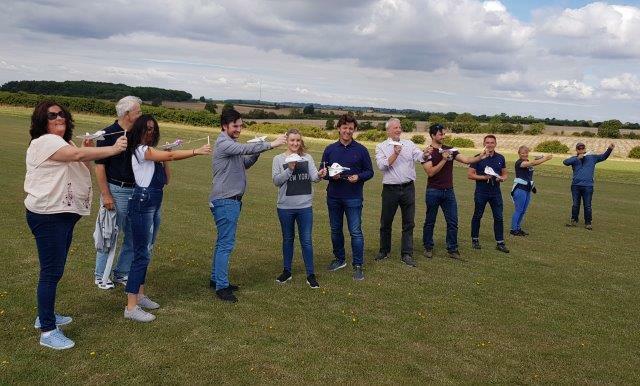 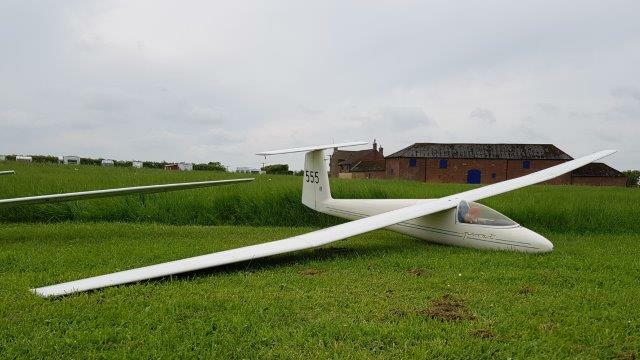 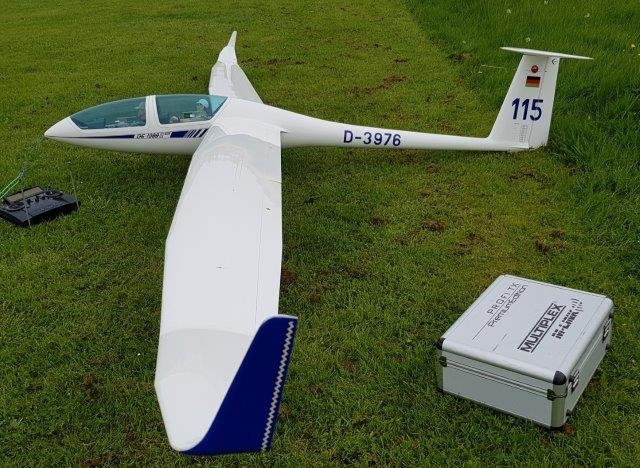 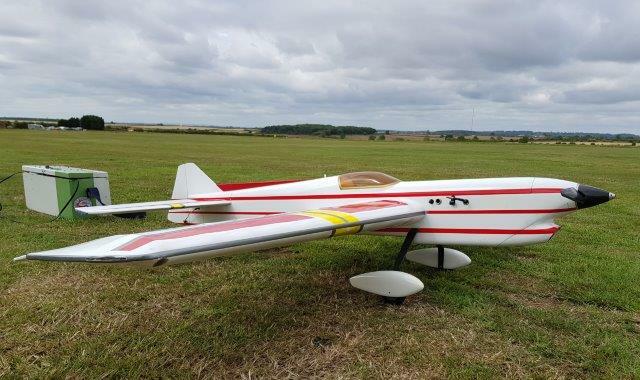 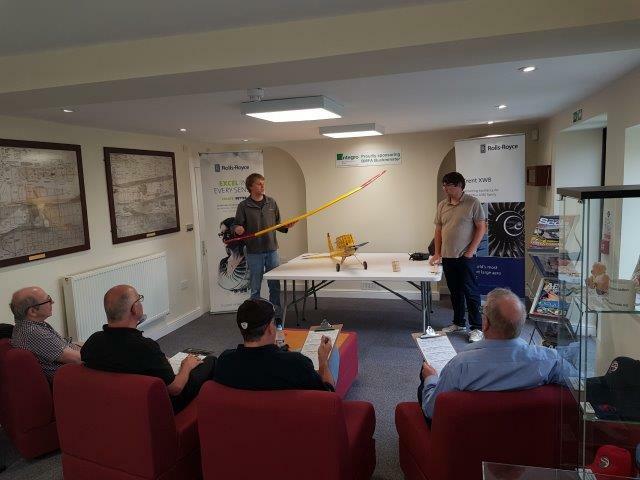 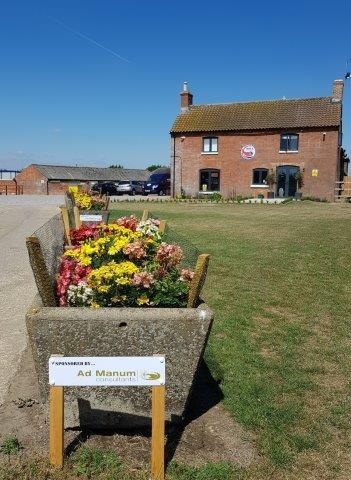 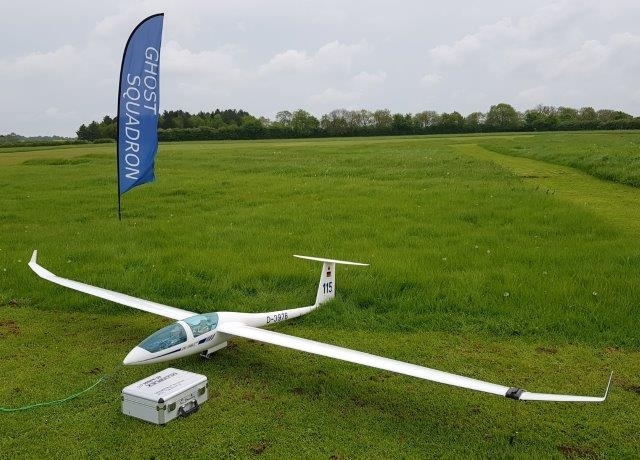 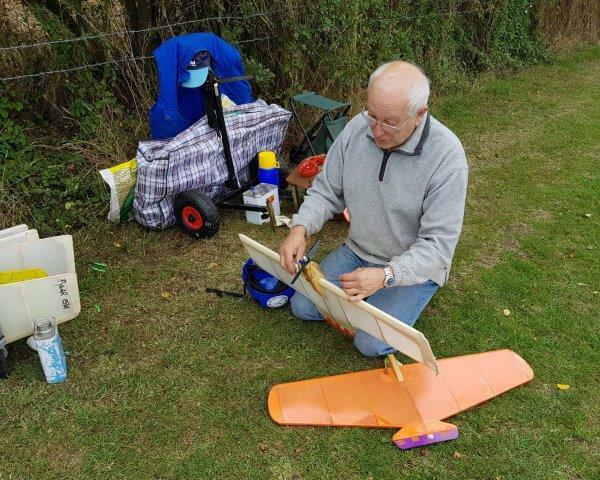 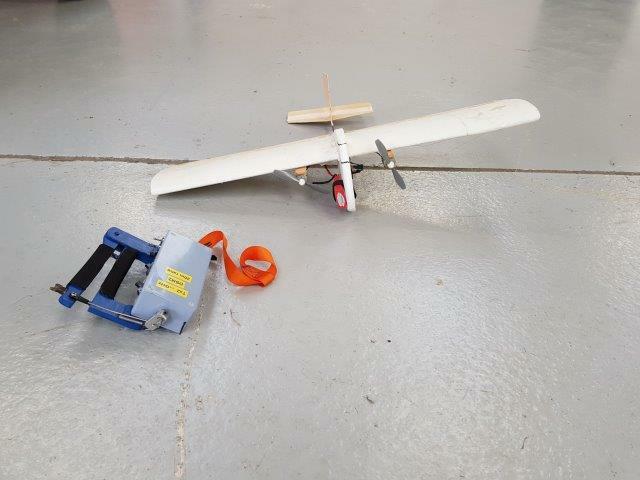 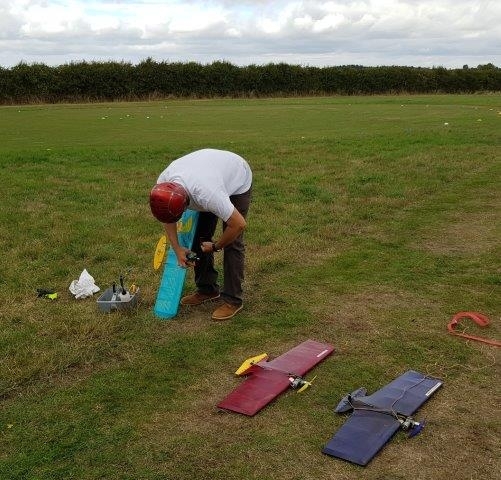 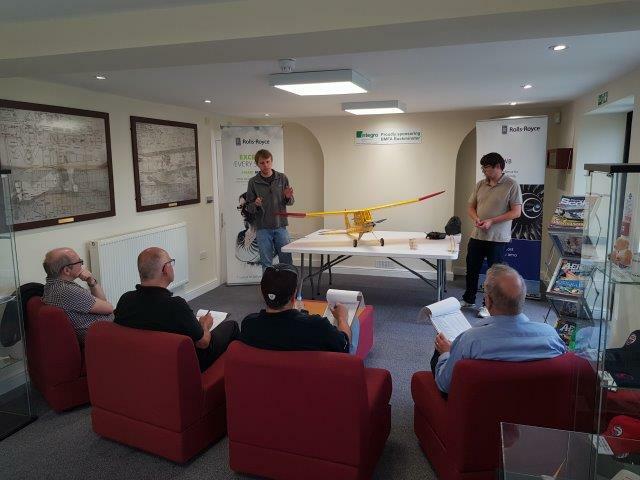 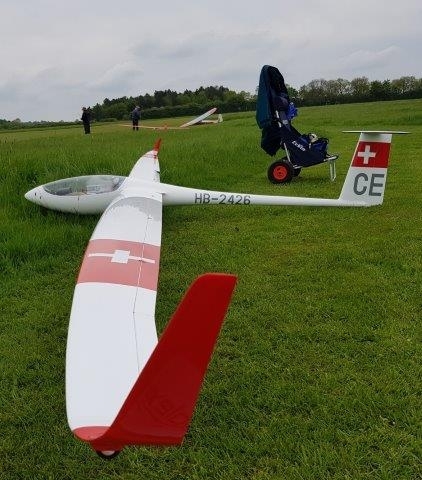 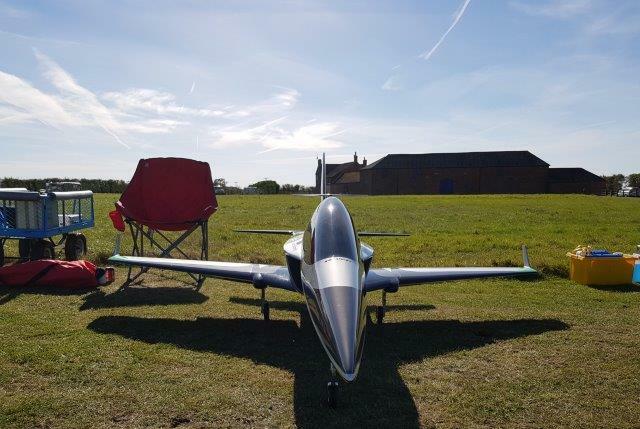 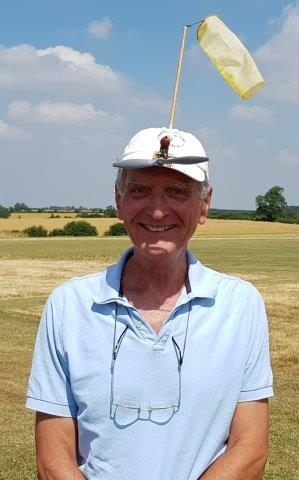 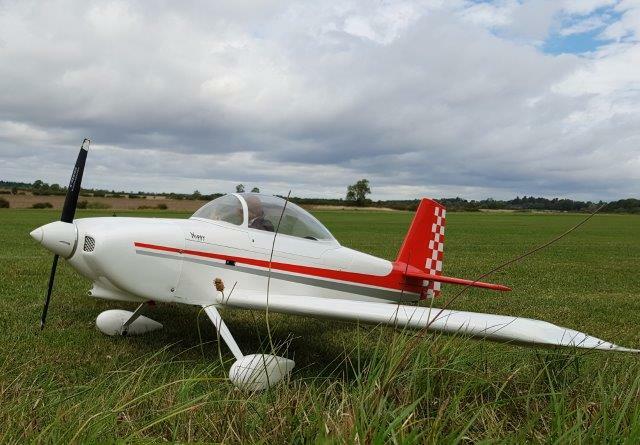 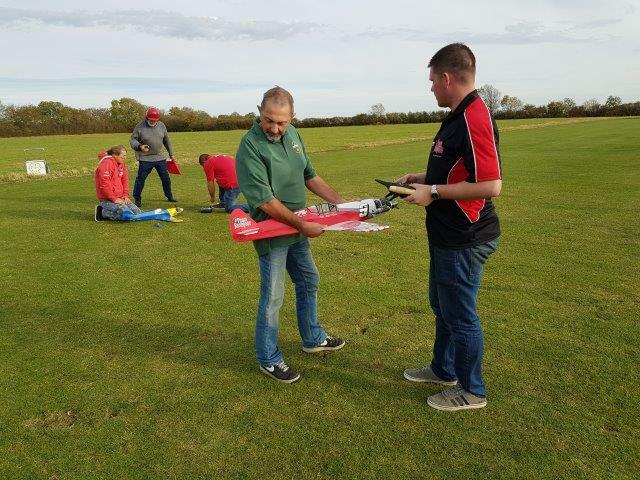 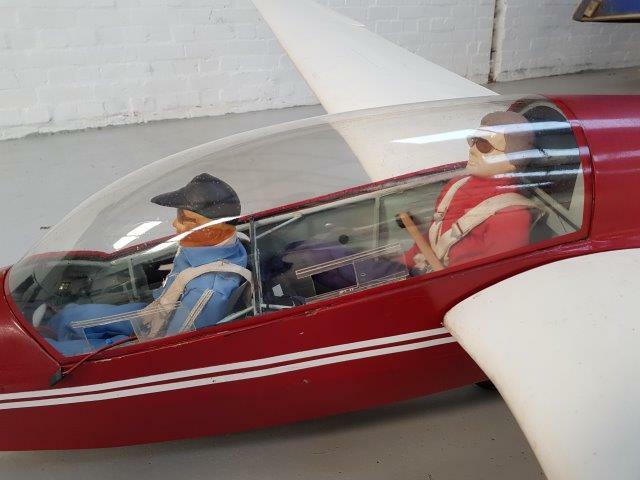 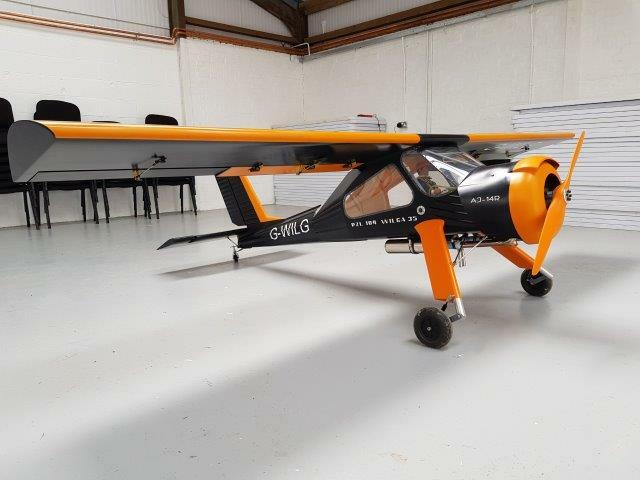 We also hosted a number of silent flight events including another well attended Discus Launch Glider workshop followed by the Silent Flight Nationals over the August Bank Holiday. 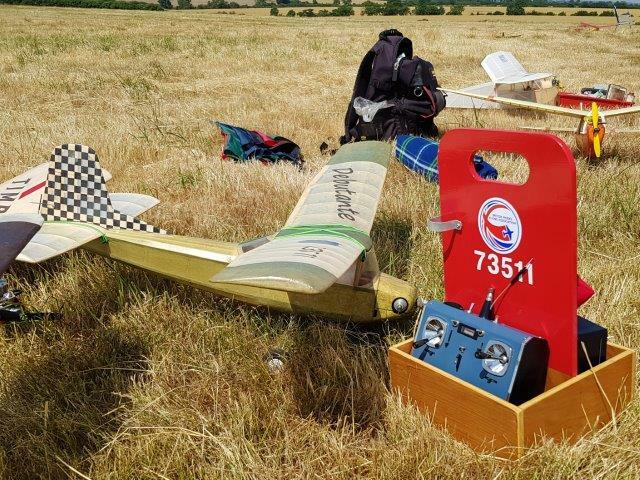 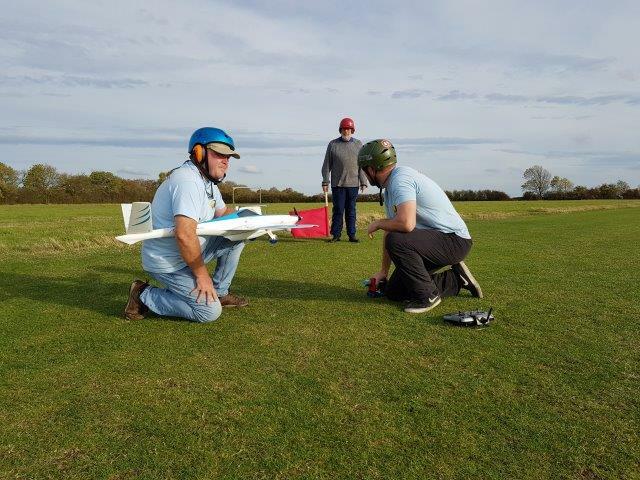 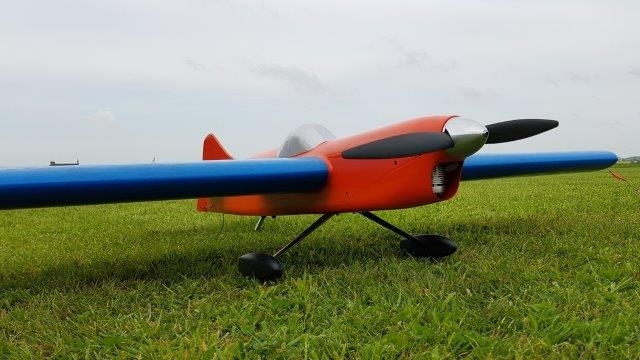 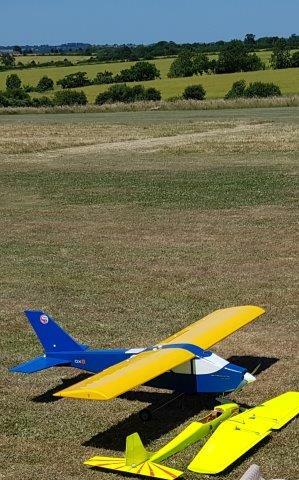 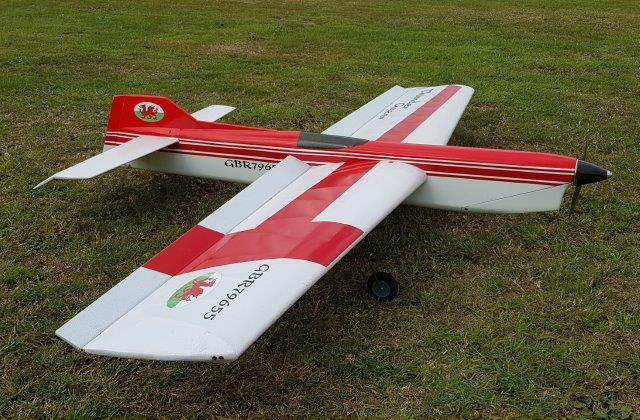 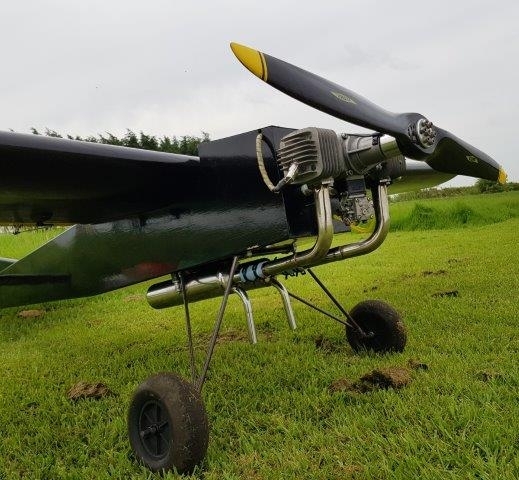 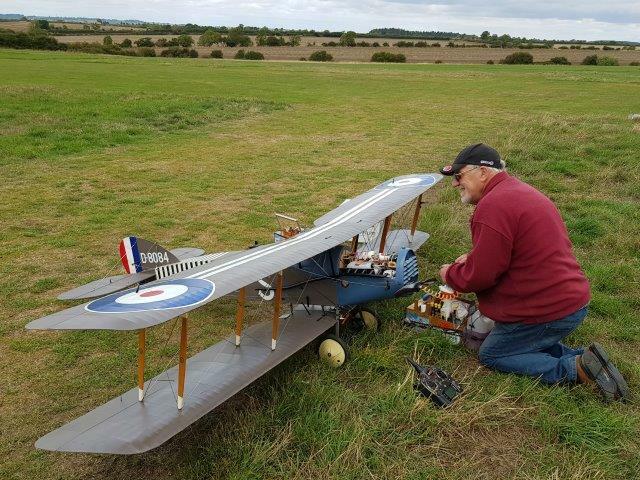 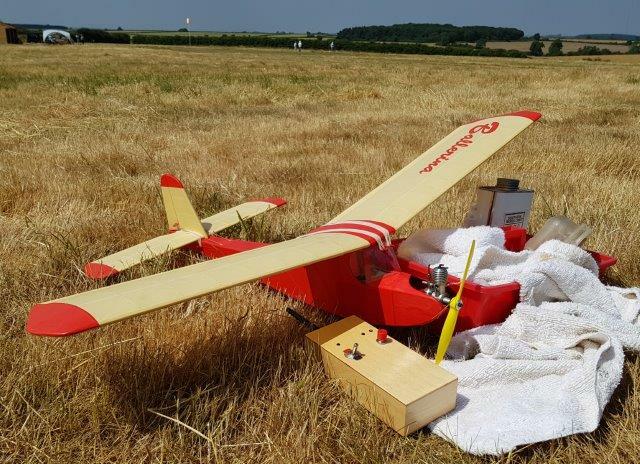 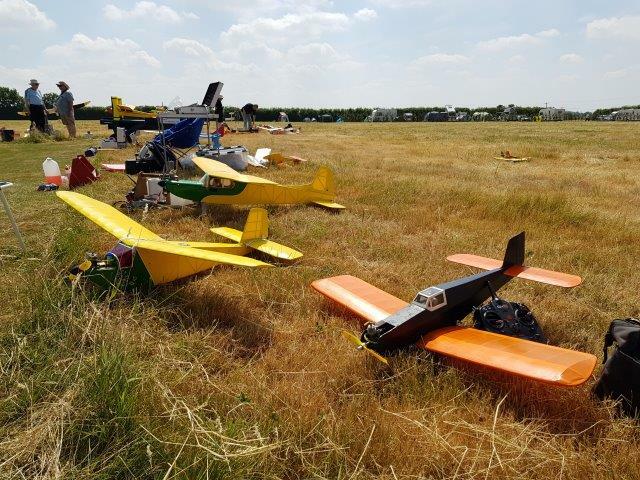 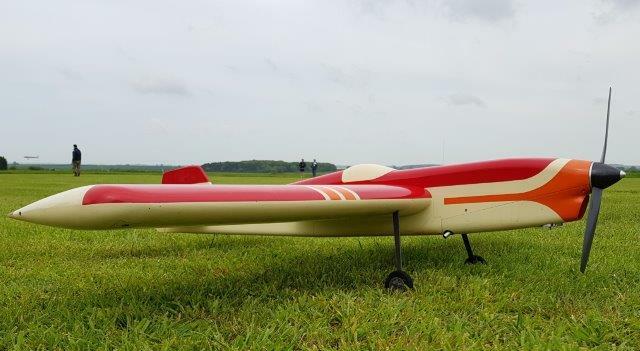 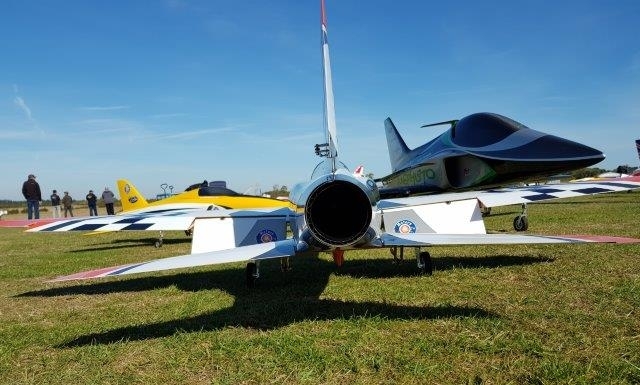 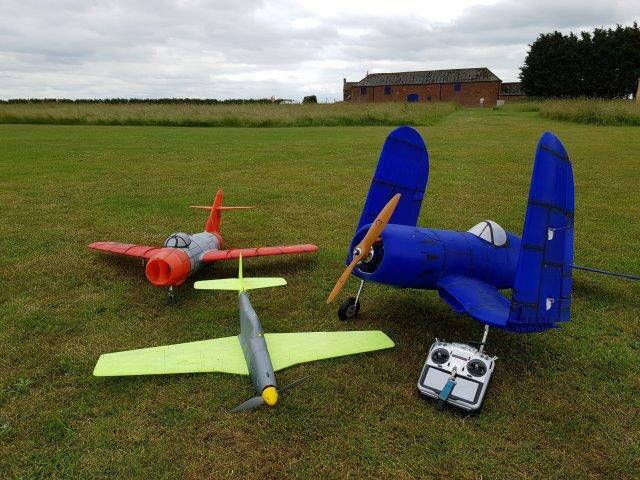 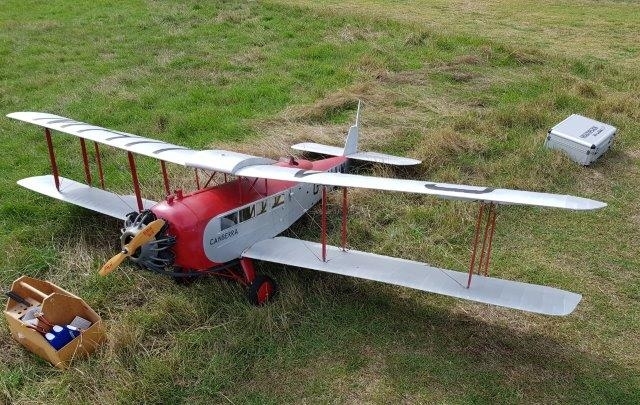 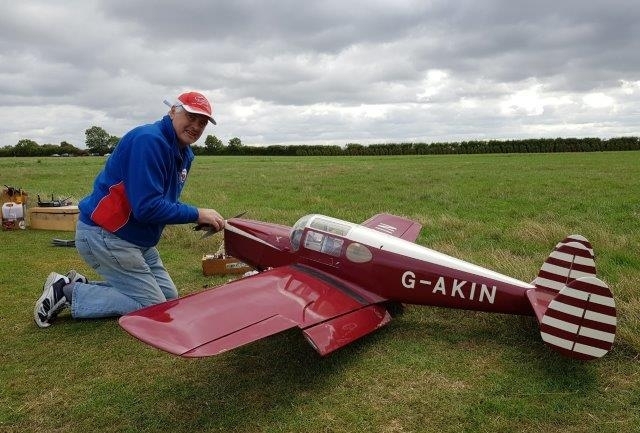 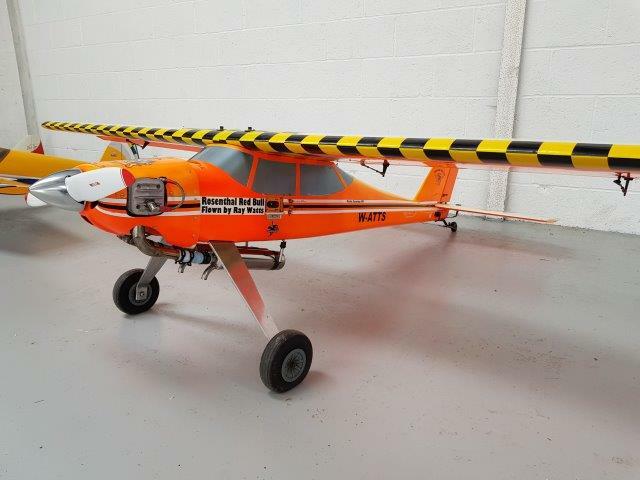 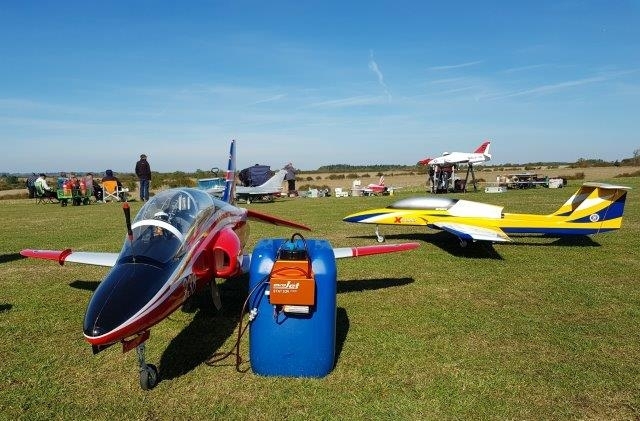 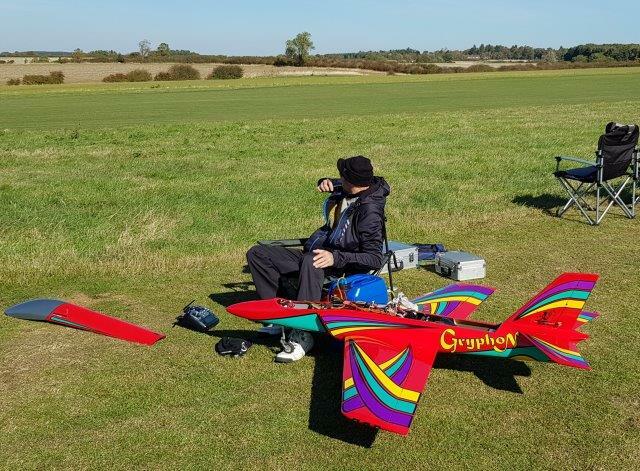 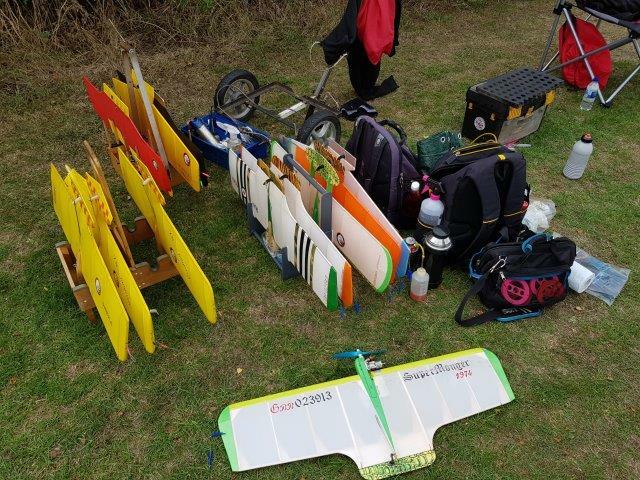 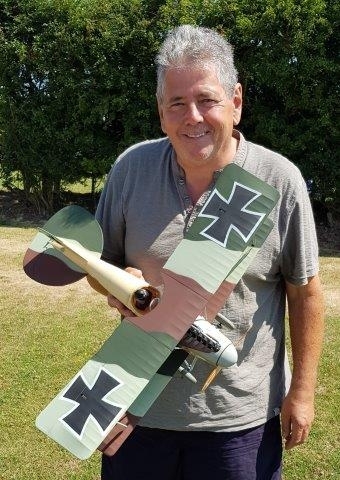 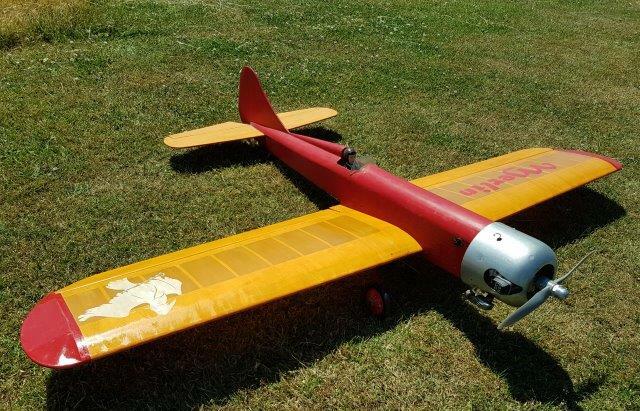 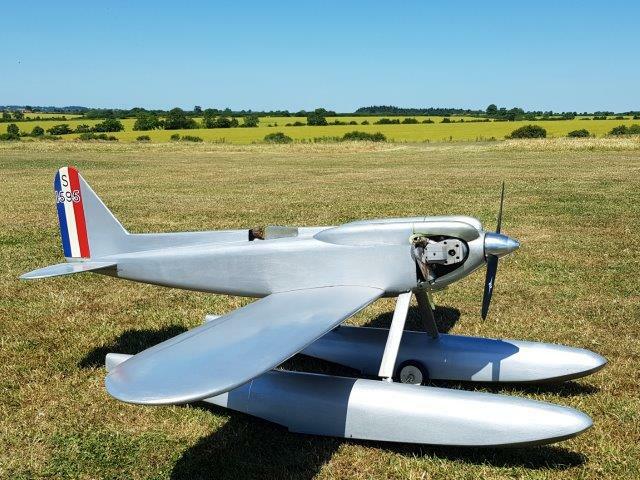 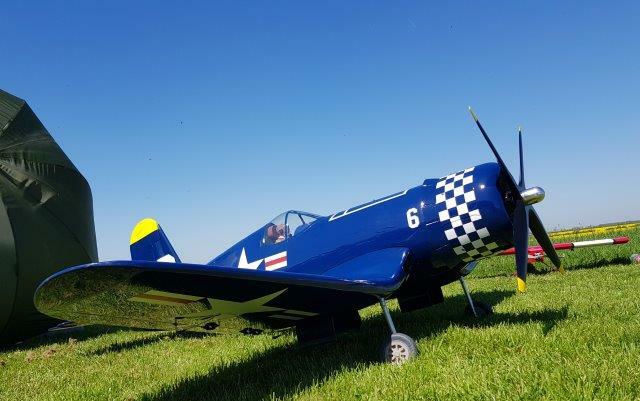 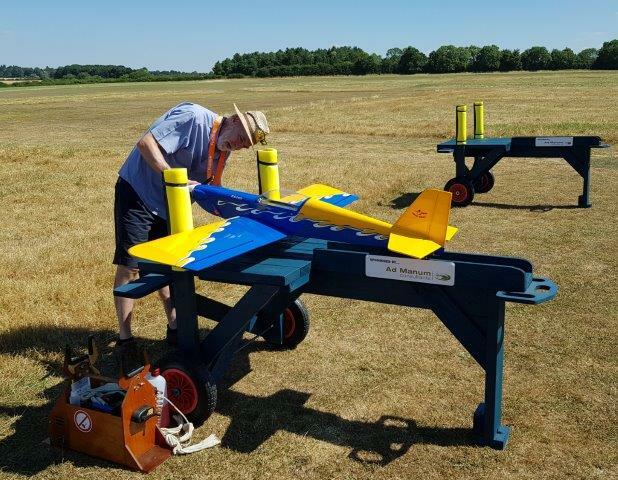 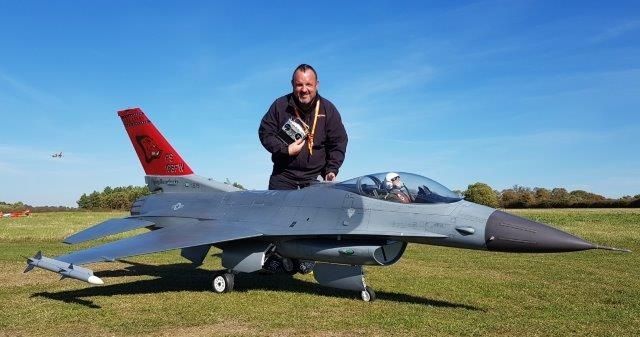 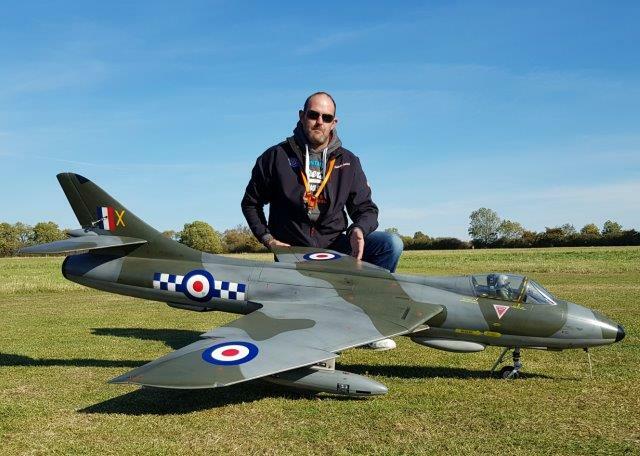 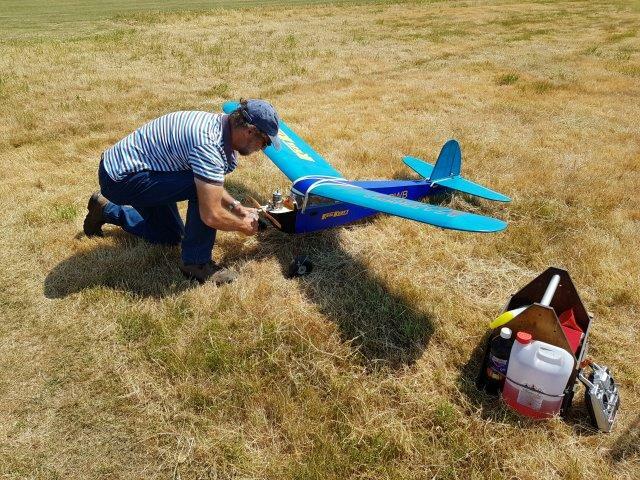 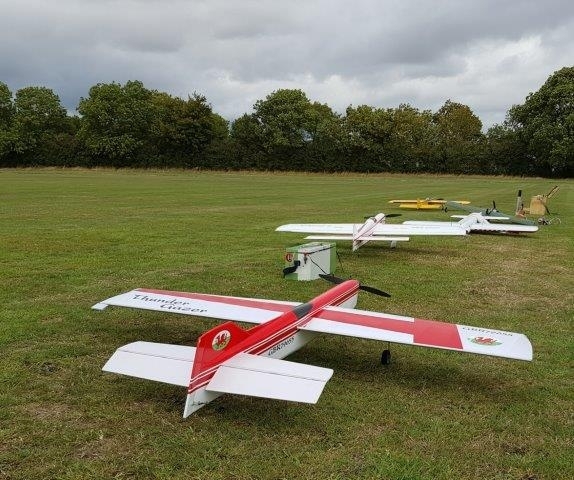 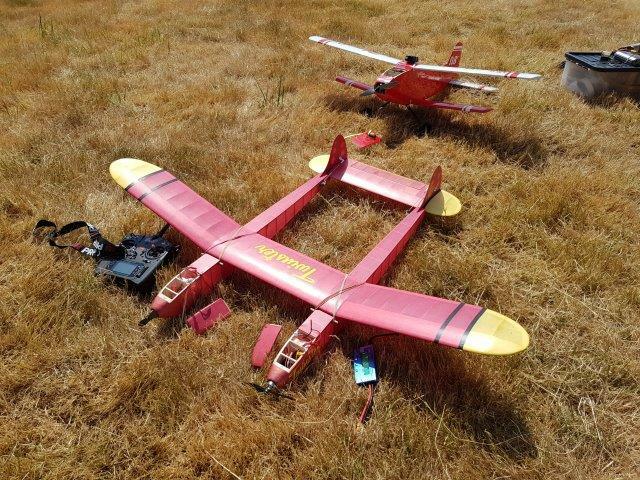 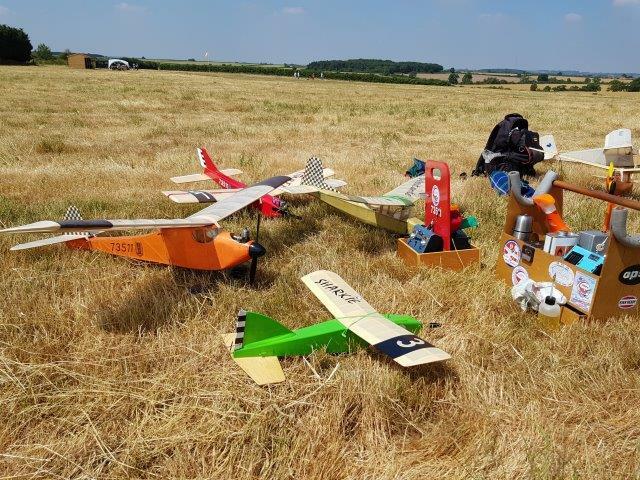 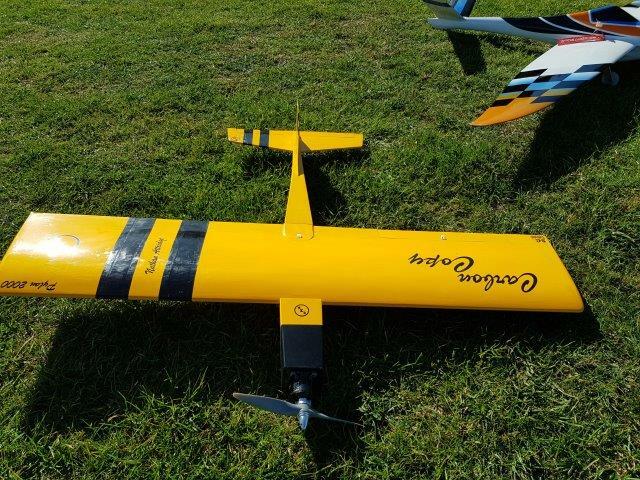 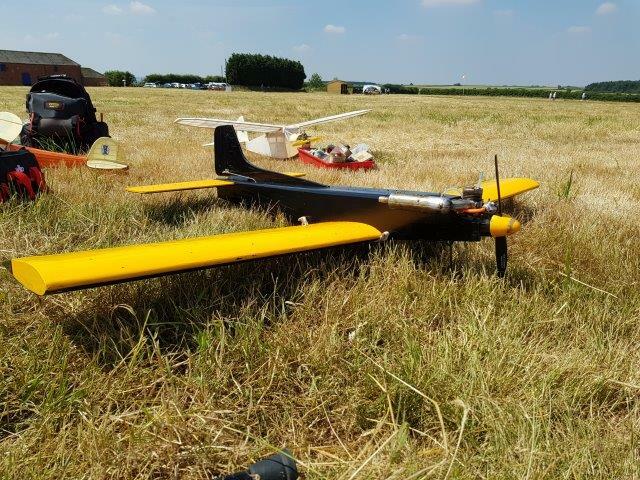 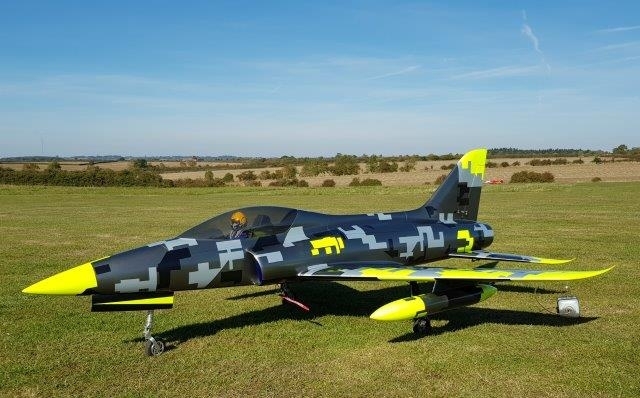 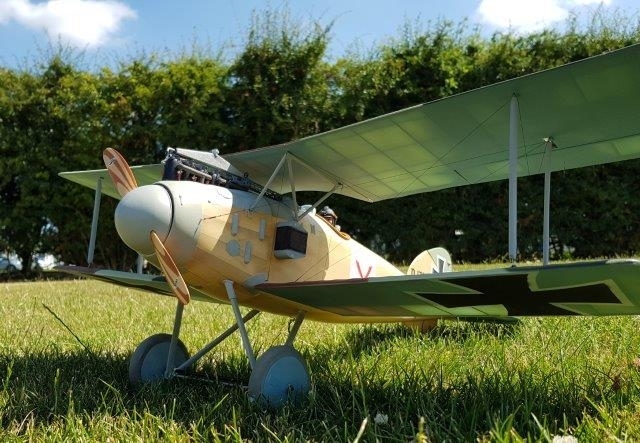 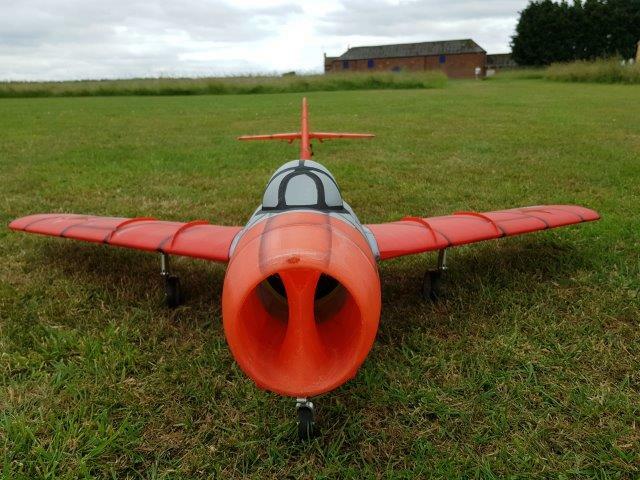 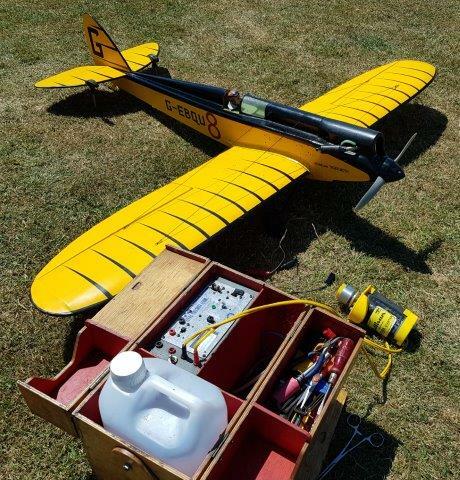 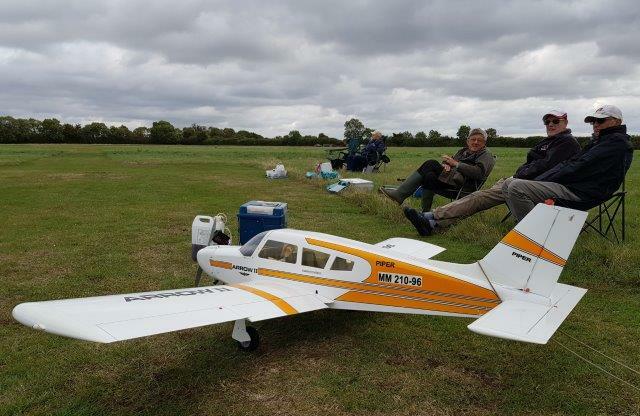 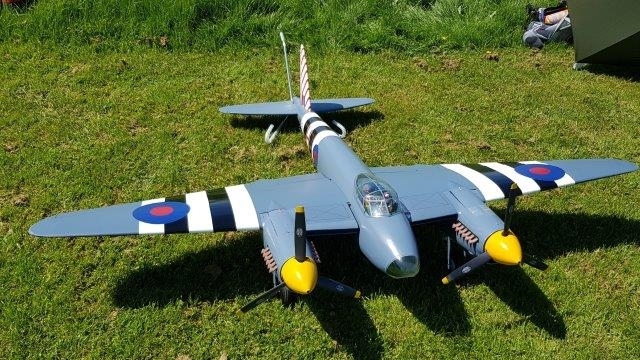 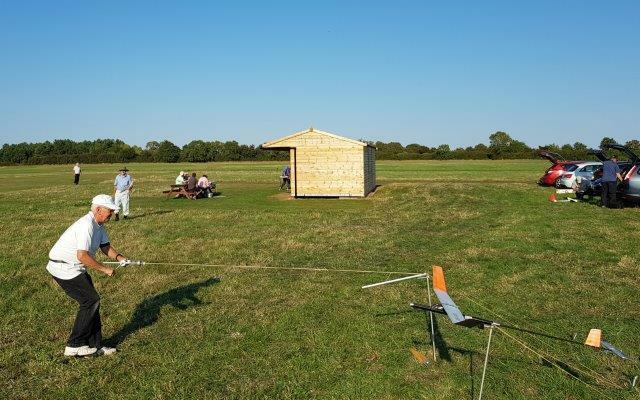 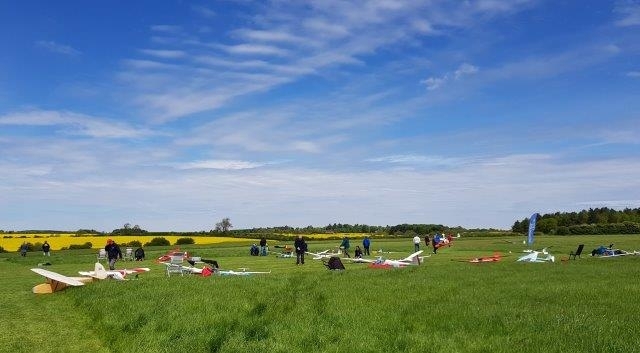 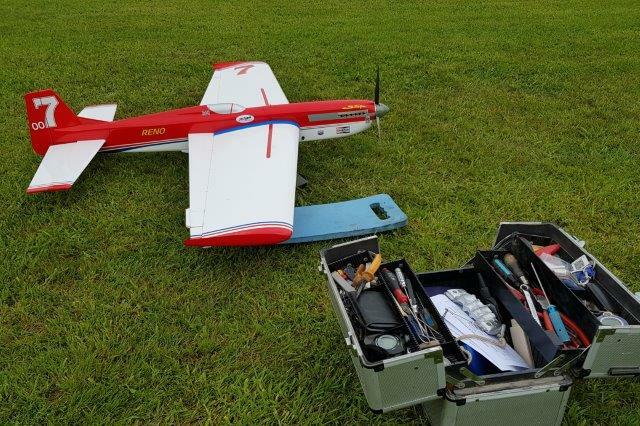 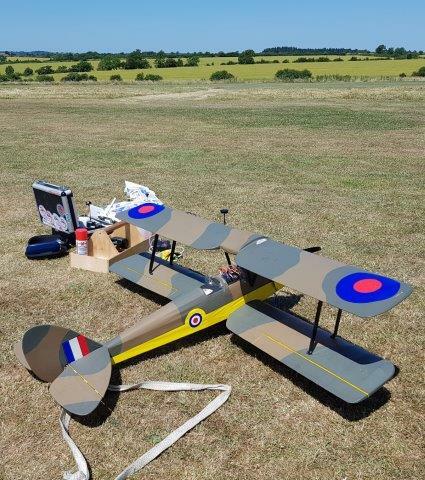 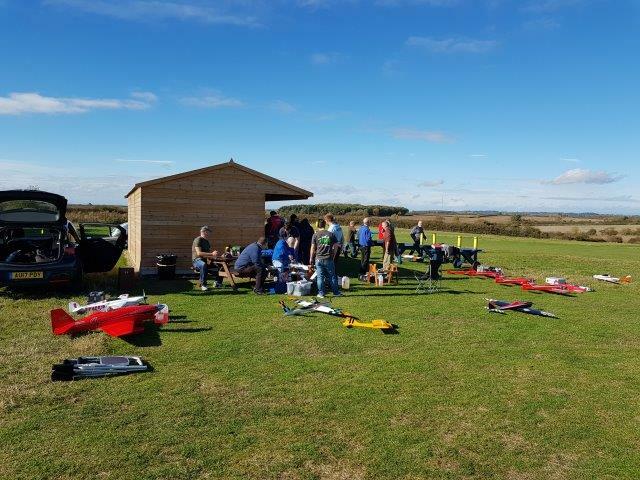 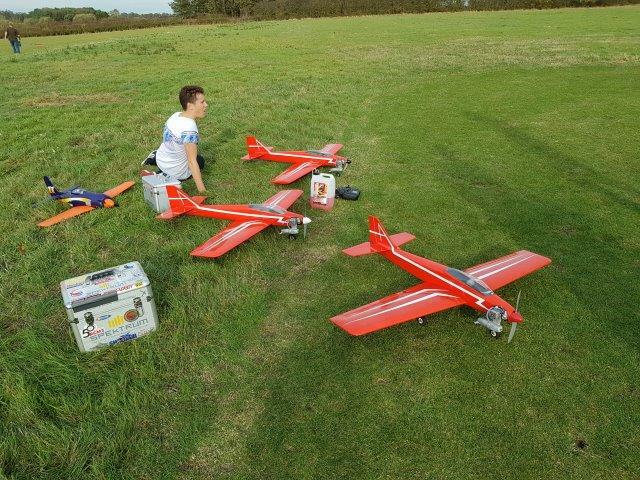 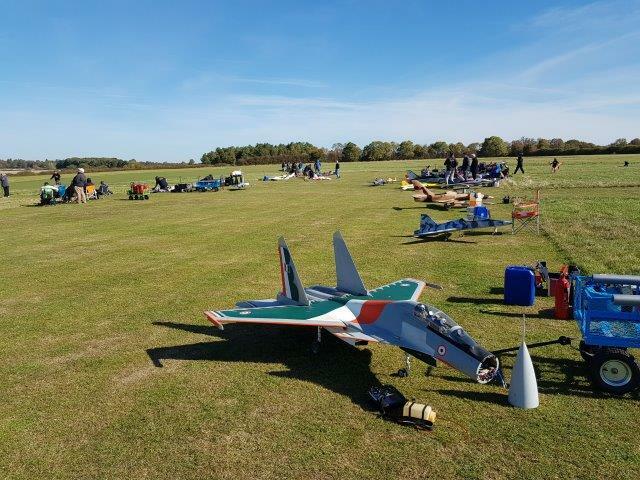 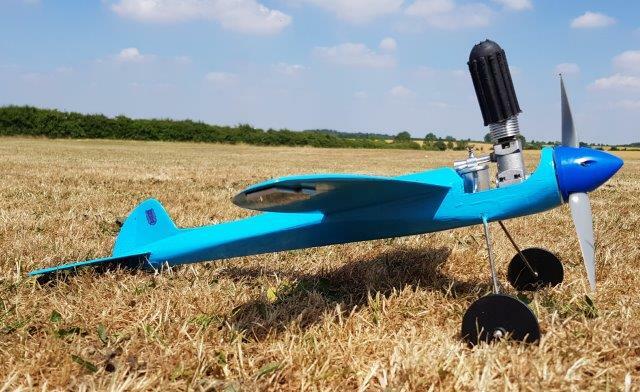 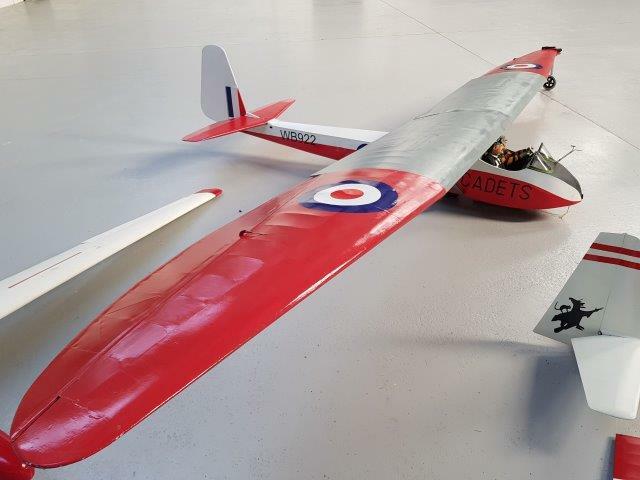 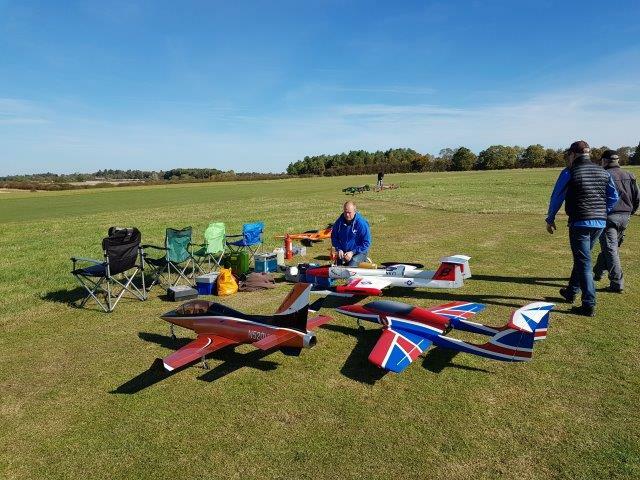 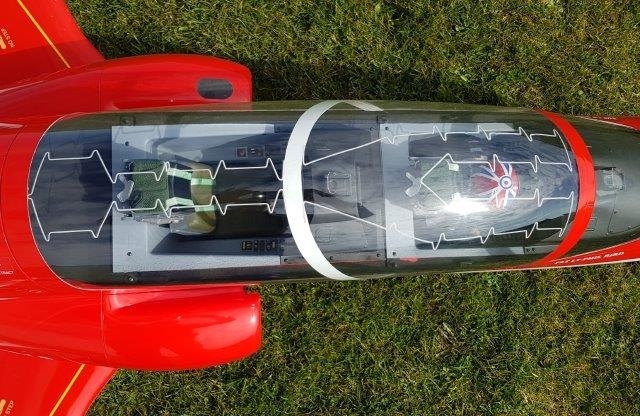 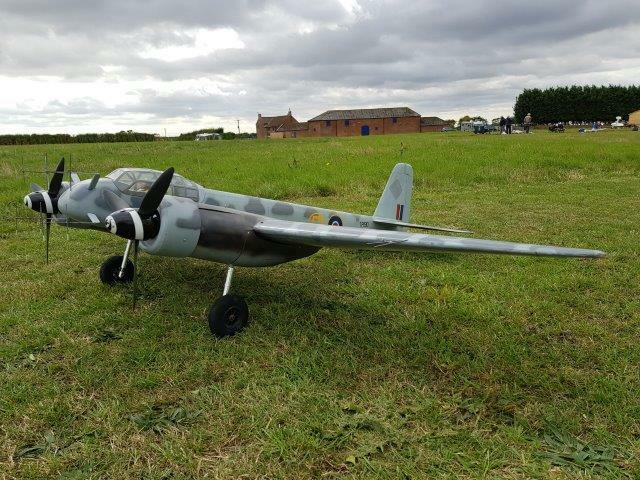 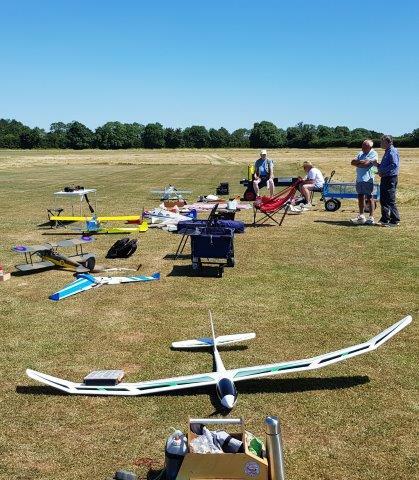 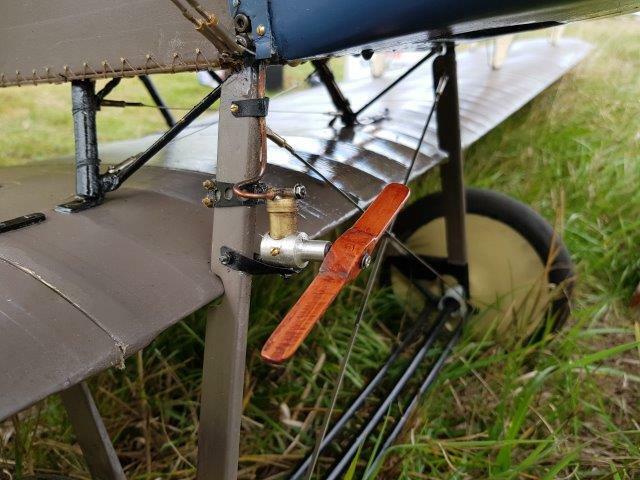 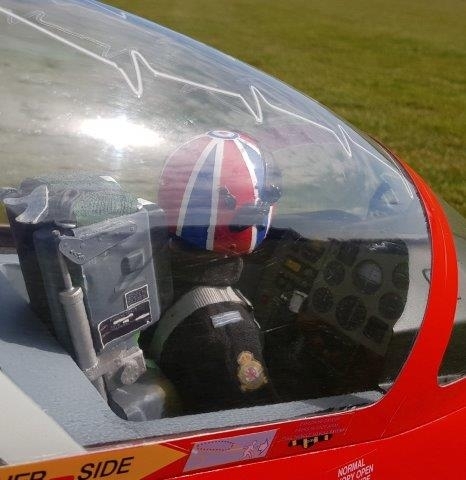 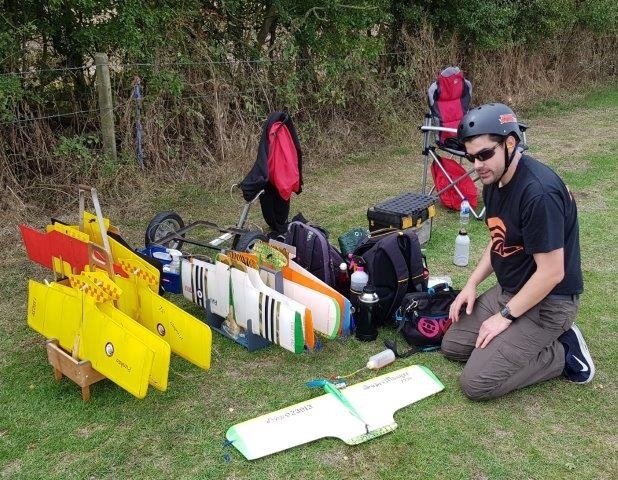 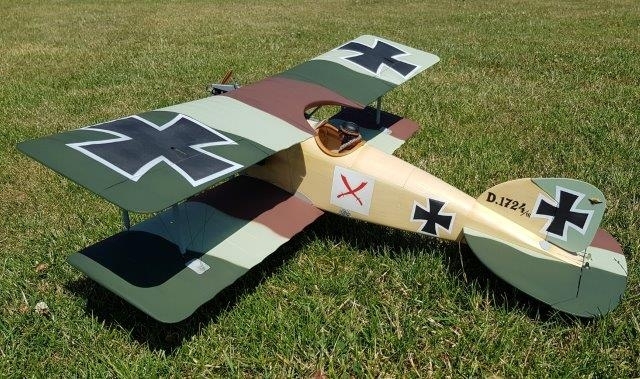 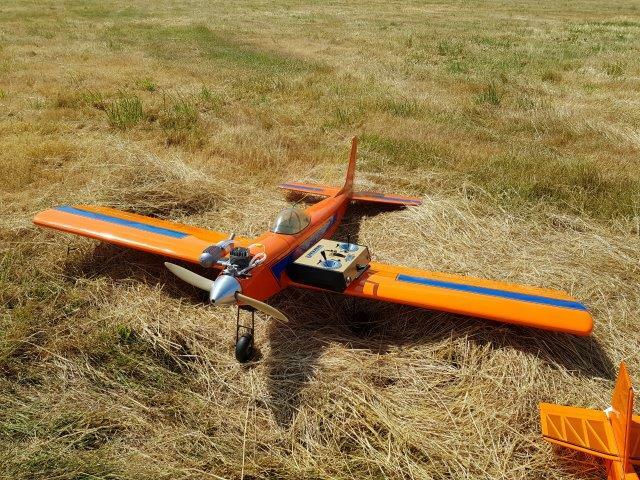 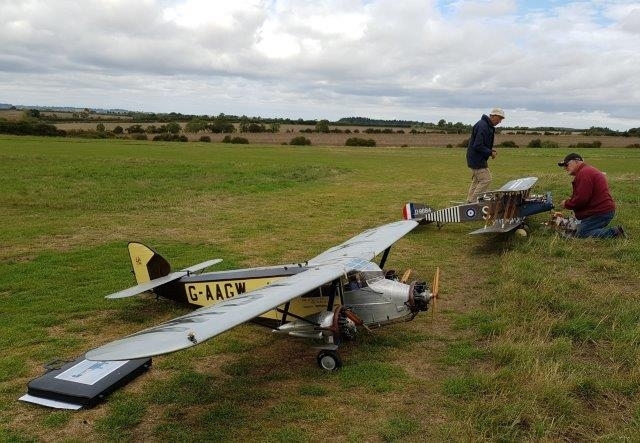 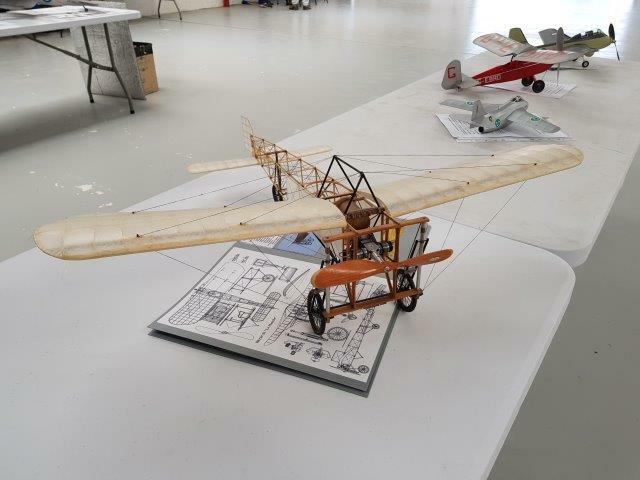 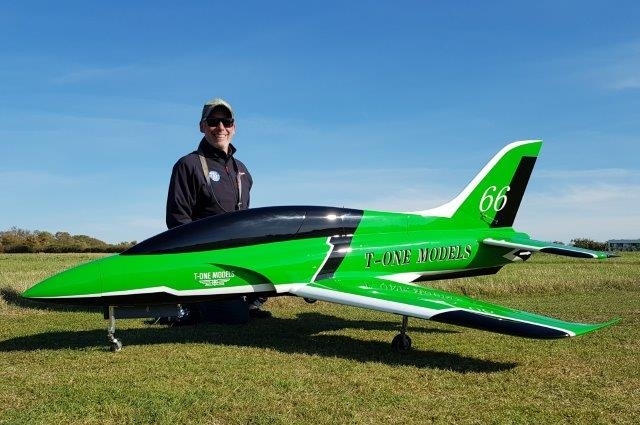 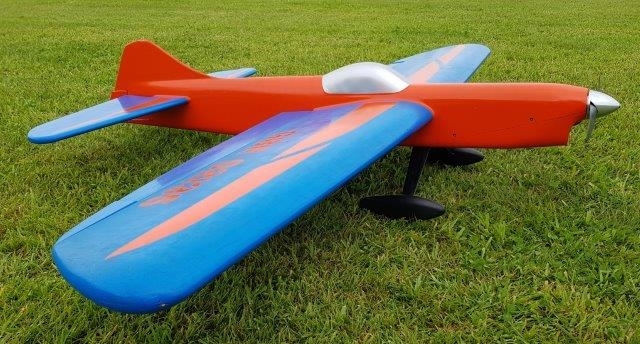 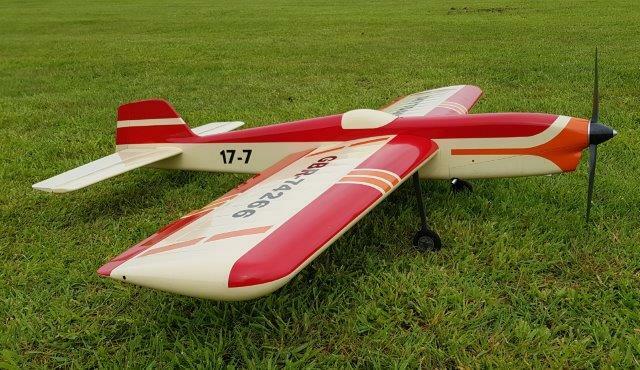 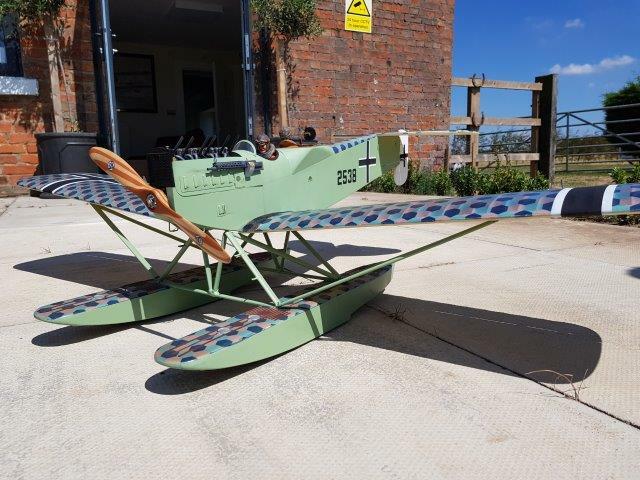 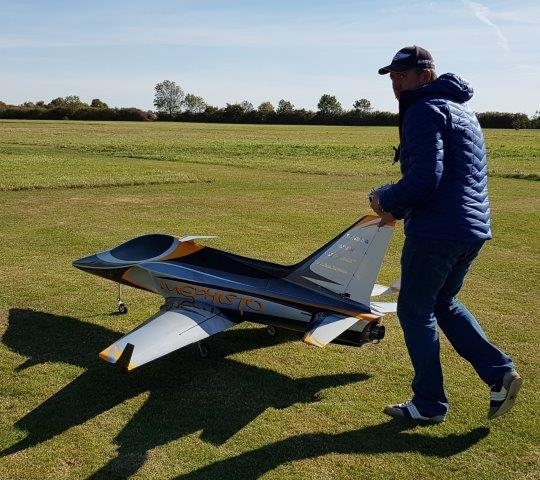 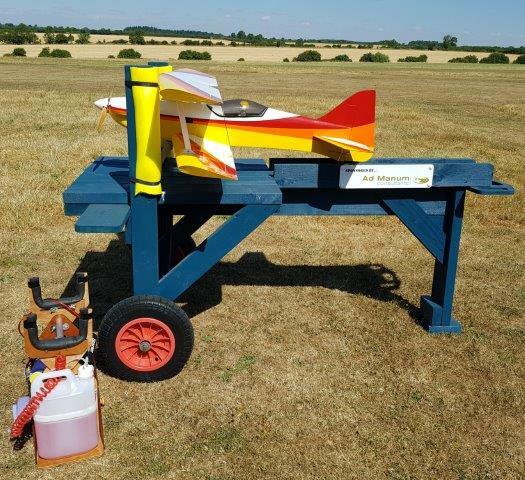 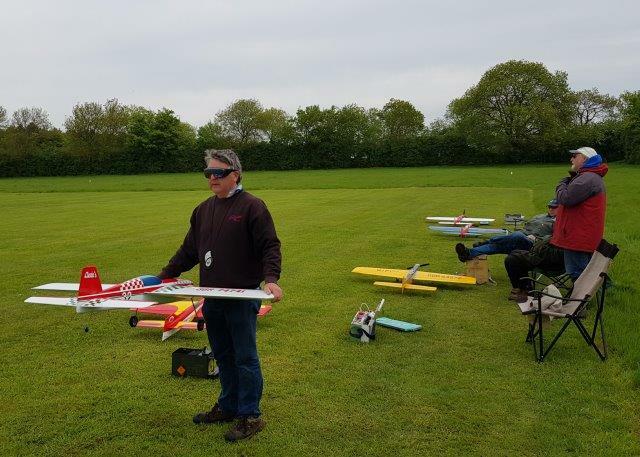 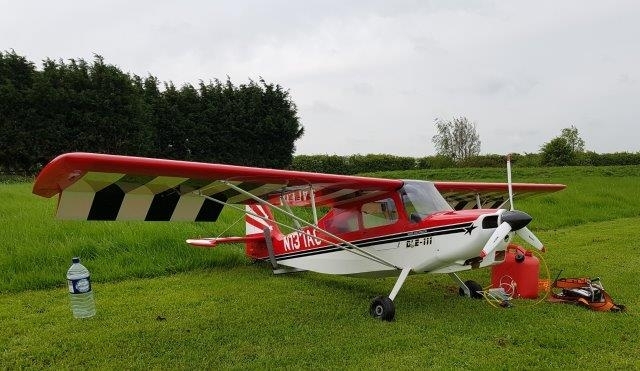 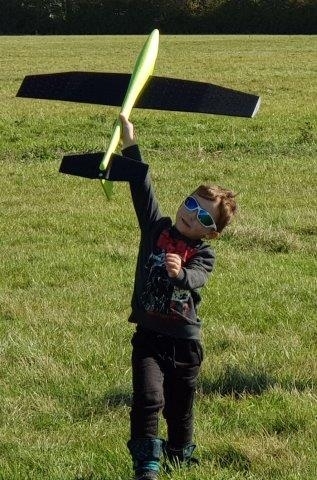 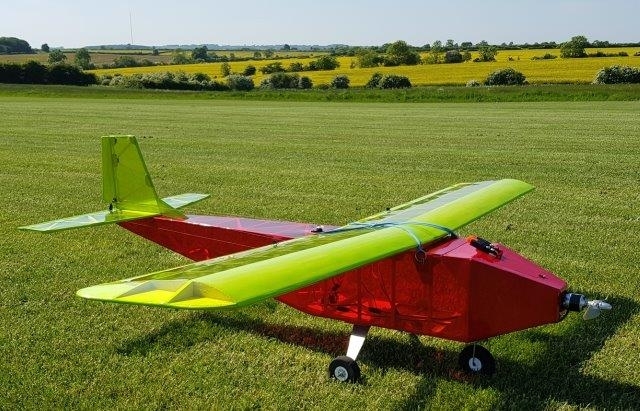 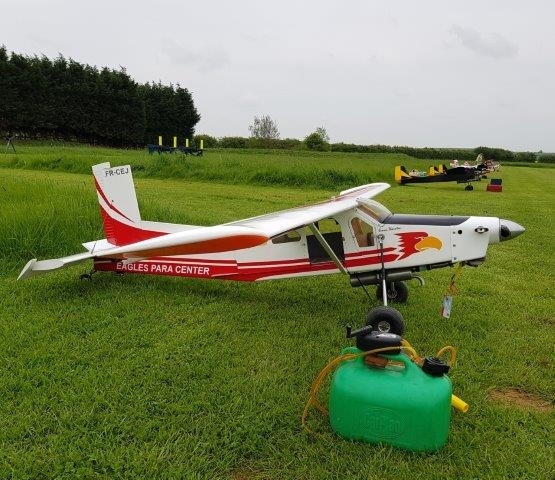 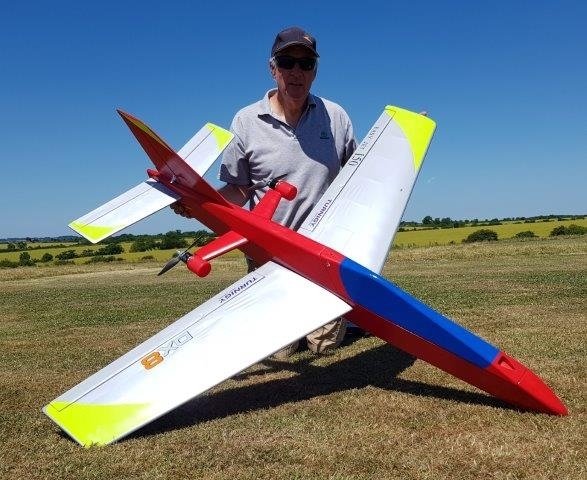 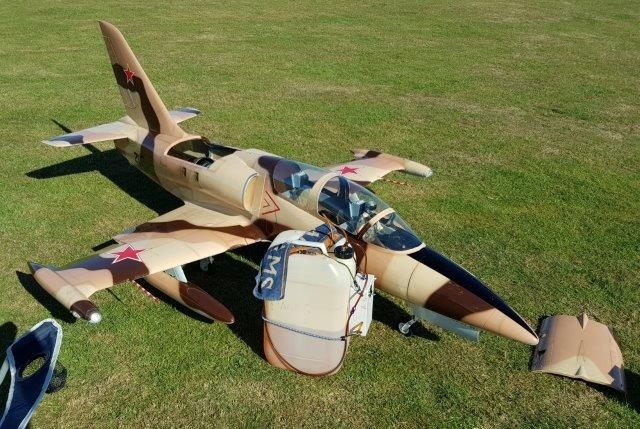 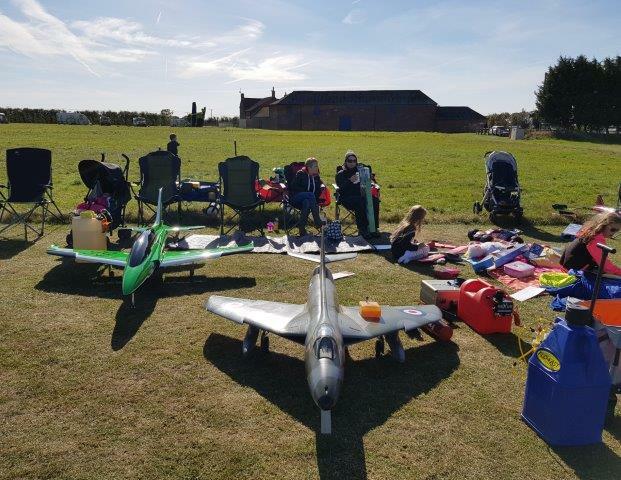 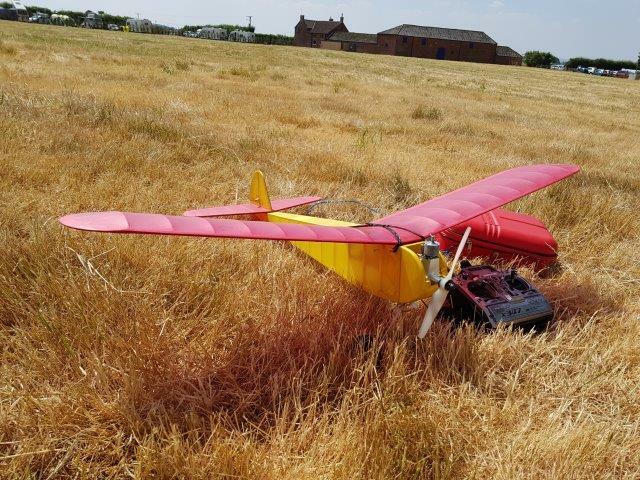 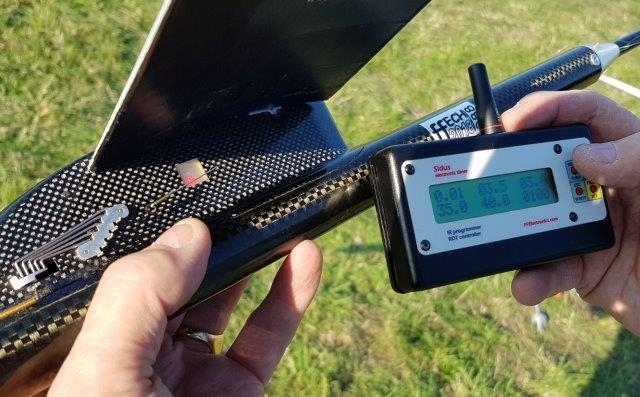 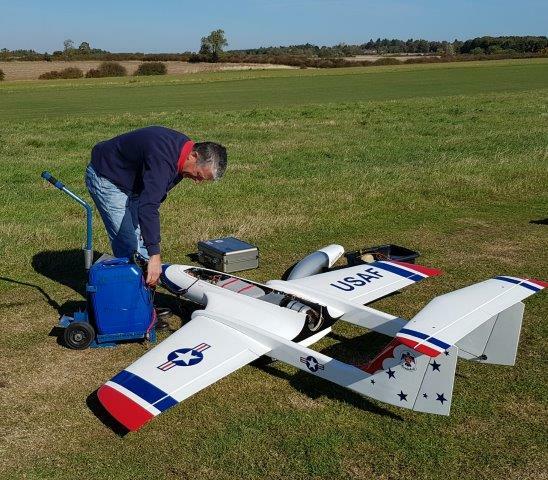 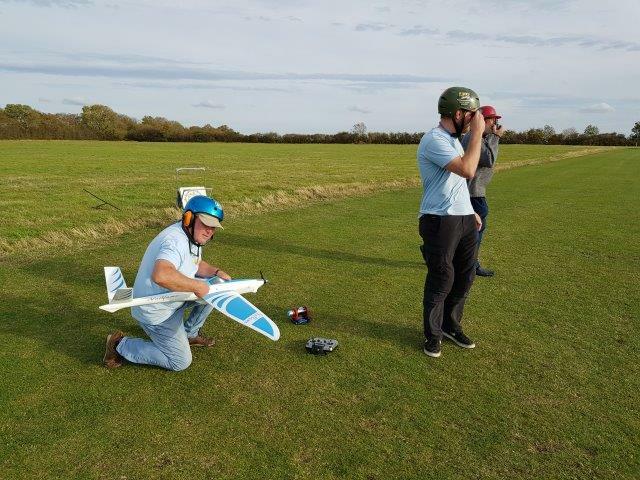 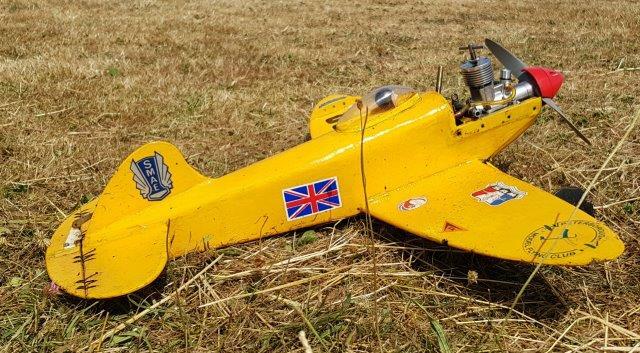 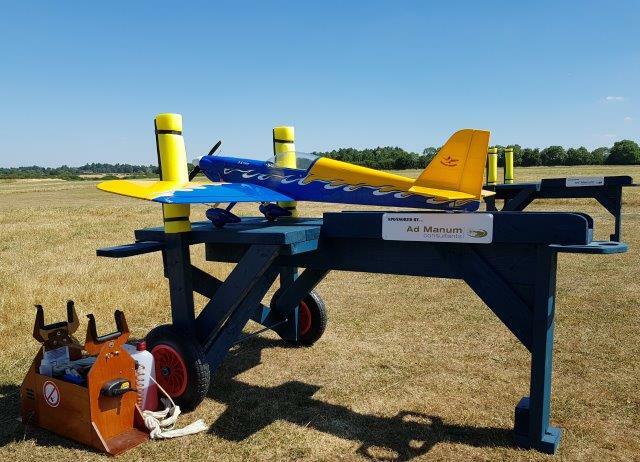 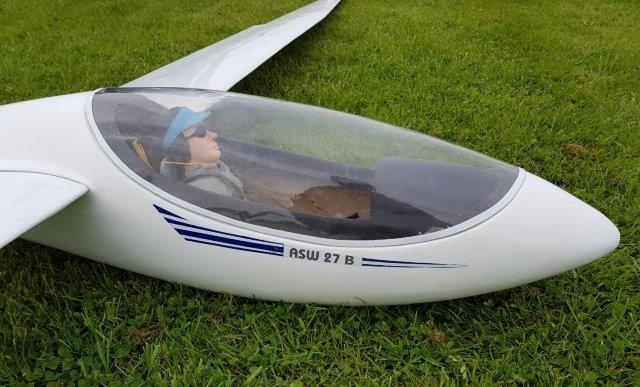 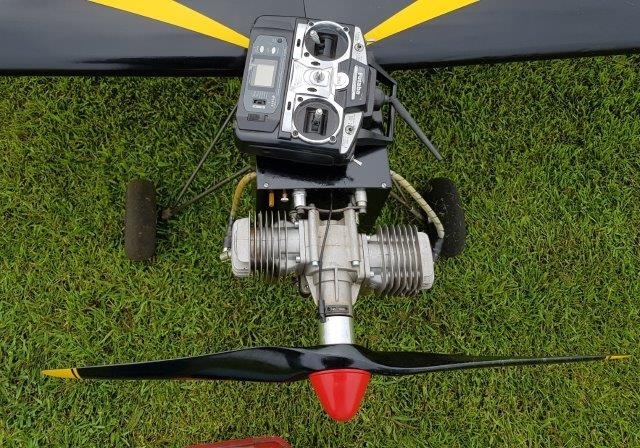 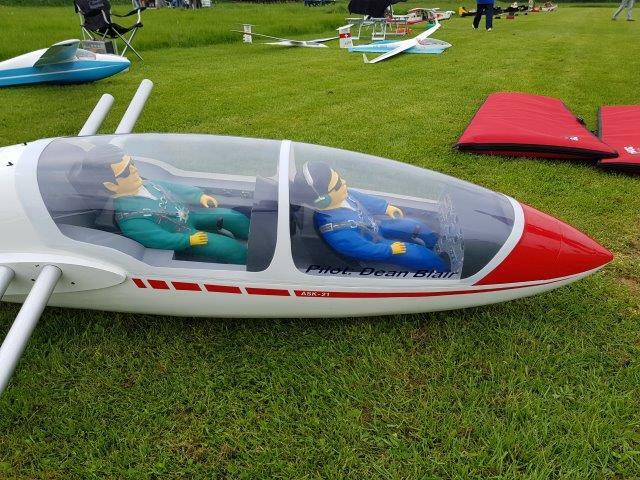 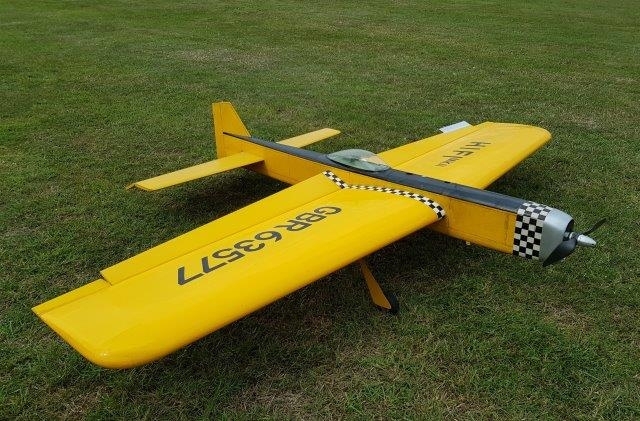 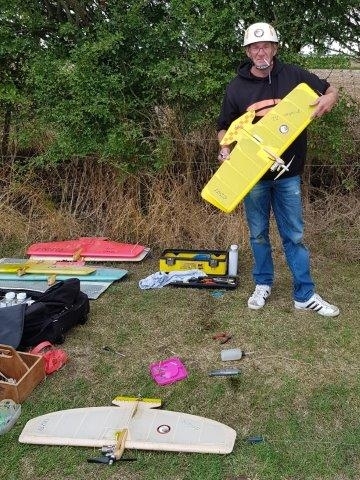 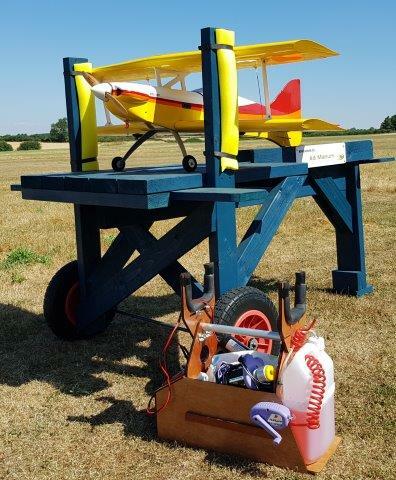 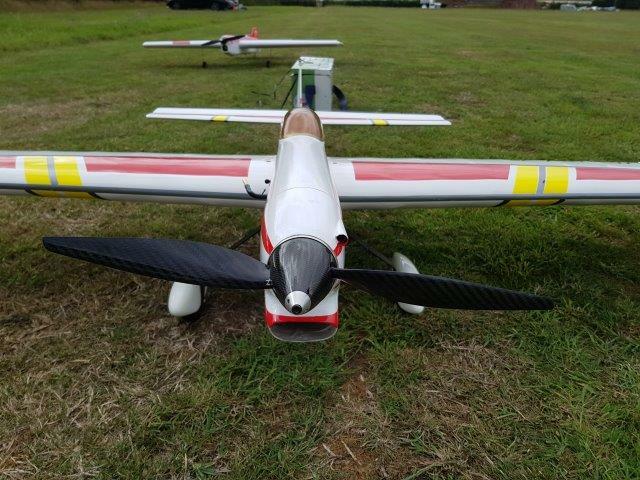 The diverse range of activity continued and we hosted an event every weekend including RC scale, pylon racing, vintage combat, control line stunt, FPV racing, helicopter aerobatics, two jet fly-in’s and a free flight gala, it really has been a busy summer. Of particular note was the helicopter and FPV competitions despite their run of bad luck with the weather they pressed on regardless and completed the majority of their competition rounds despite strong winds and heavy rain. 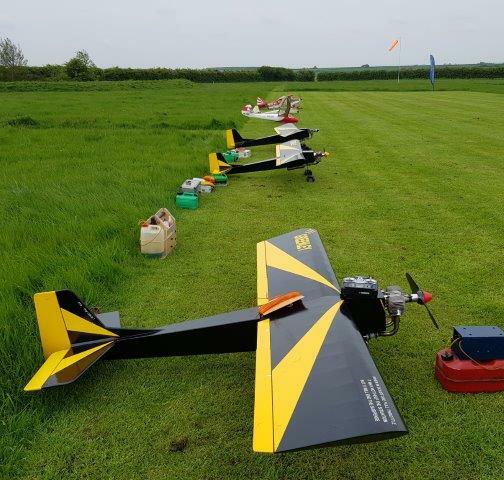 The pylon racers also suffered with strong winds on the Saturday (and sadly a washout on the Sunday) but despite the steady 30mph (gusting 40) breeze pressed on and had a great day of competition and testing. 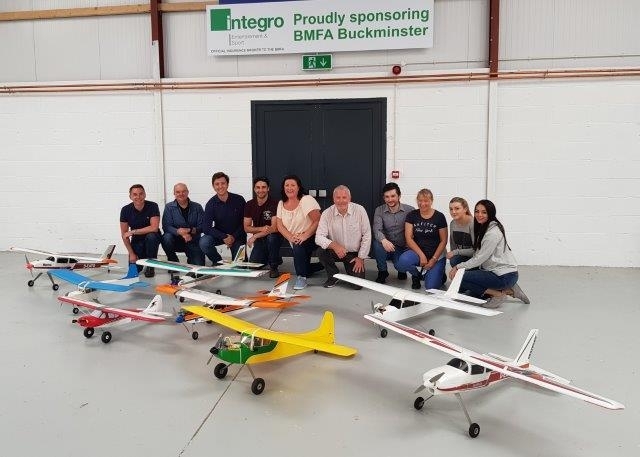 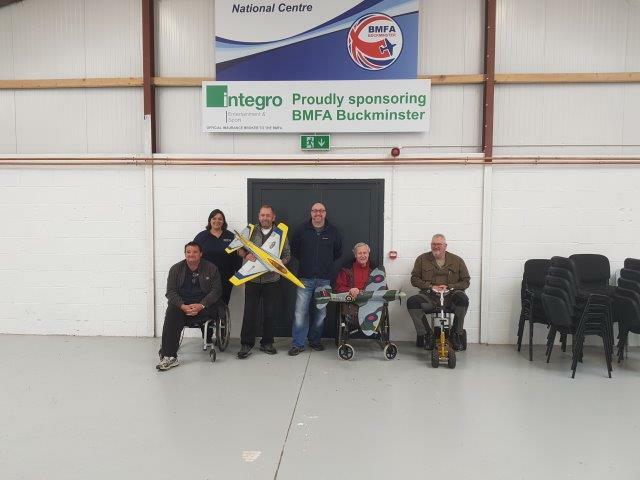 We also accommodated two corporate days for our insurers and recently staged an activity event for BLESMA (a fantastic charity for limbless veterans) which was a very positive day resulting in all of the veterans and support staff flying indoor R/C models (some solo) and all flying R/C trainers outdoors on the buddy box. 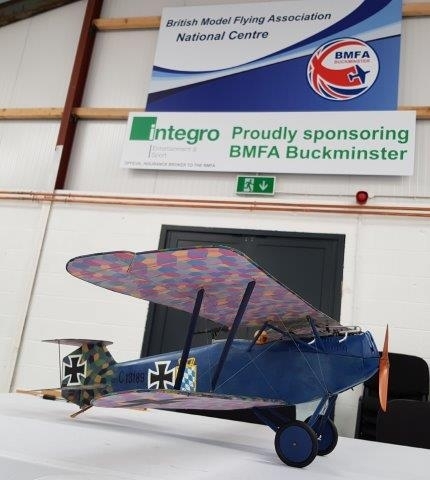 The day was supported by the team of regular Buckminster volunteers as well as BMFA staff members. 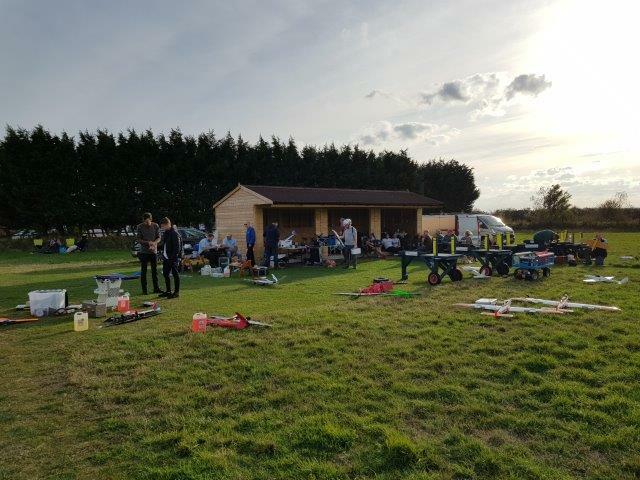 Overall, utilisation of the site has been very positive and it is pleasing to look back over our first full year of operation and note the number of events we have held. 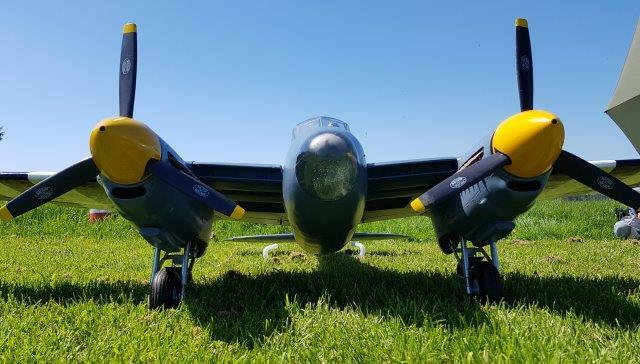 There has also been a reasonable amount of midweek flying both from season ticket holders and also from day ticket visitors, there has also been plenty of days where mixed disciplines have operated with no problems. 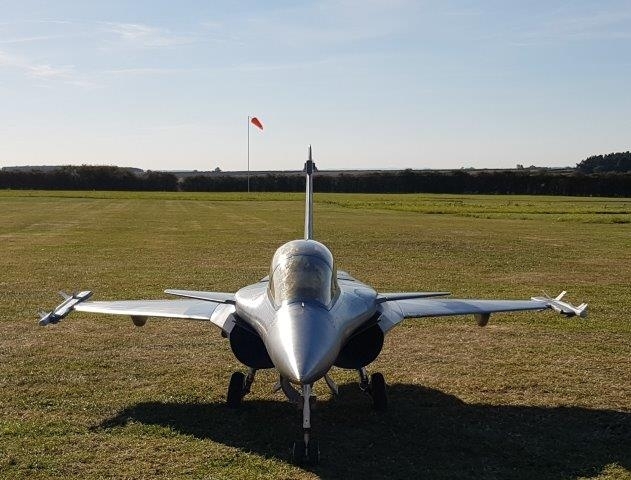 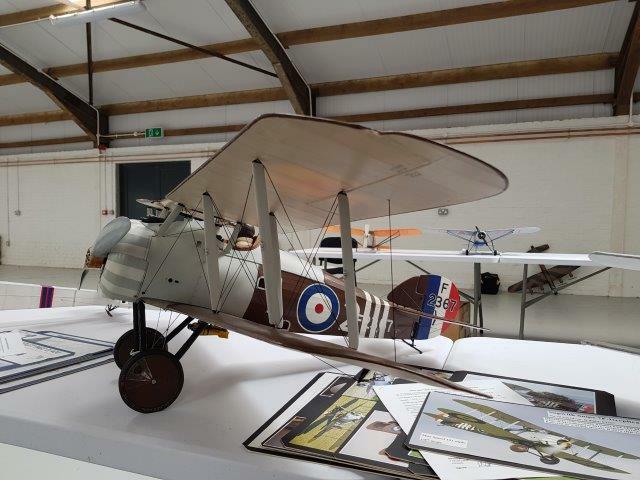 The other really pleasing aspect is the number of BMFA members who have taken the time to call in and visit for a look around for the first time, always with a positive review. 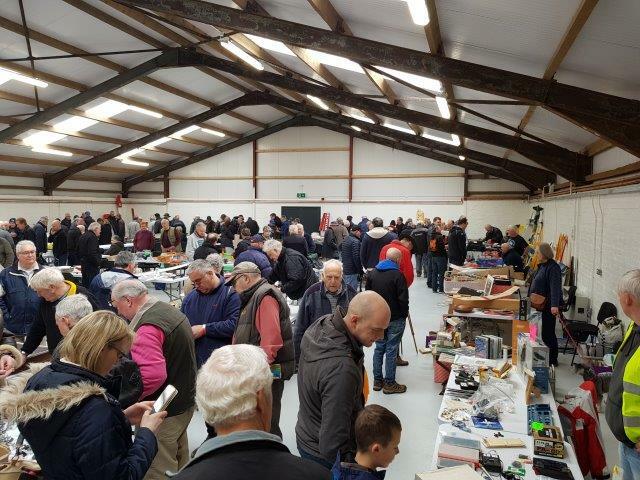 As the ‘season’ draws to a close the last main event of the year was the Autumn Swap-Meet which was again a significant success with over 200 cars on site and a hangar full of traders. 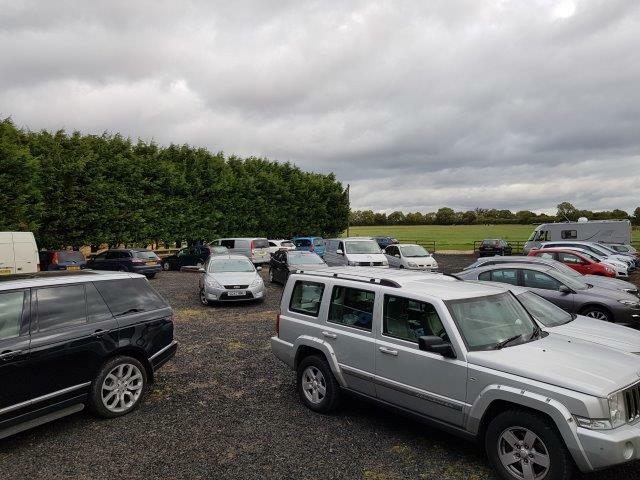 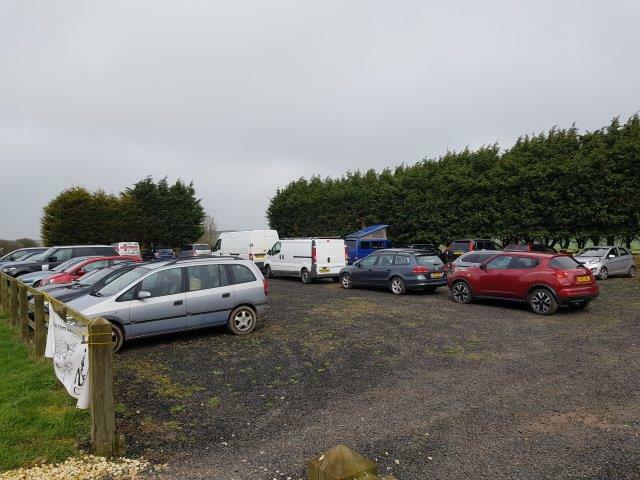 The event went very well and everyone seemed to go away happy, there was certainly no shortage of shoppers returning to the car with an aeroplane tucked under their arm, the only blot on the event was the theft of an engine from one of the traders which was sad. 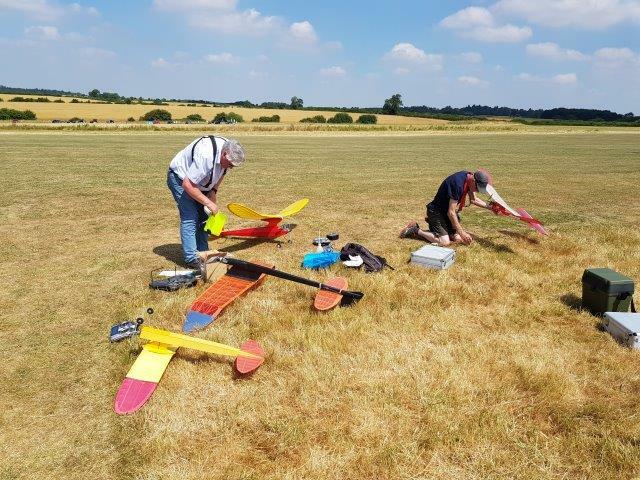 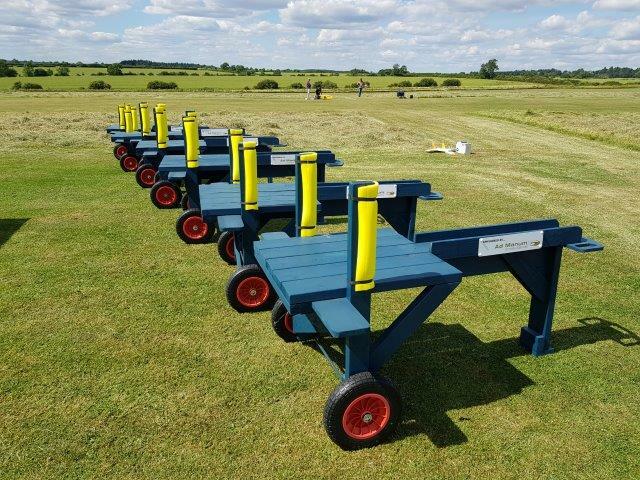 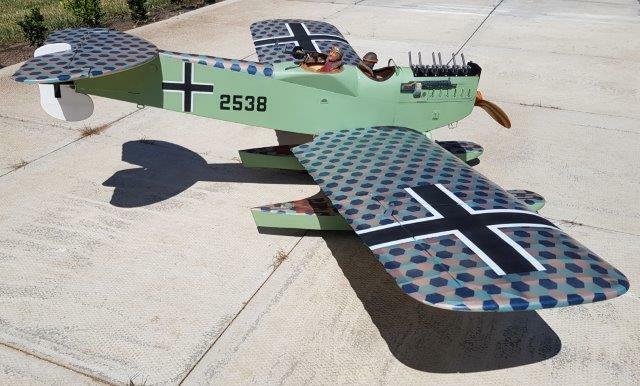 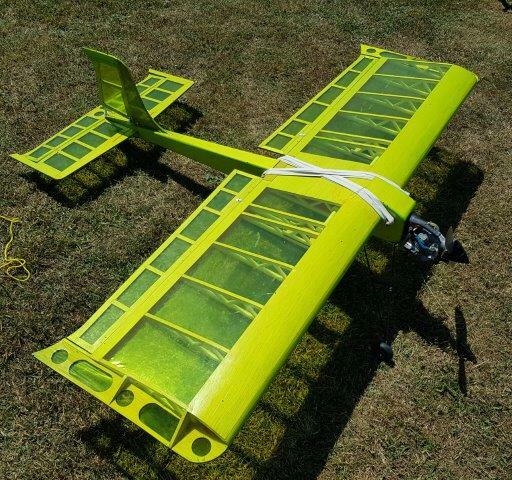 One of the headline items for 2018 has been the weather, the enduring hot summer presented some fantastic flying weather and a significant number of events benefitted from good conditions (on one occasion almost too good when a plastic picnic table was observed thermalling overhead the site for a short period, fortunately returning to earth with no injury or damage to those on the ground). 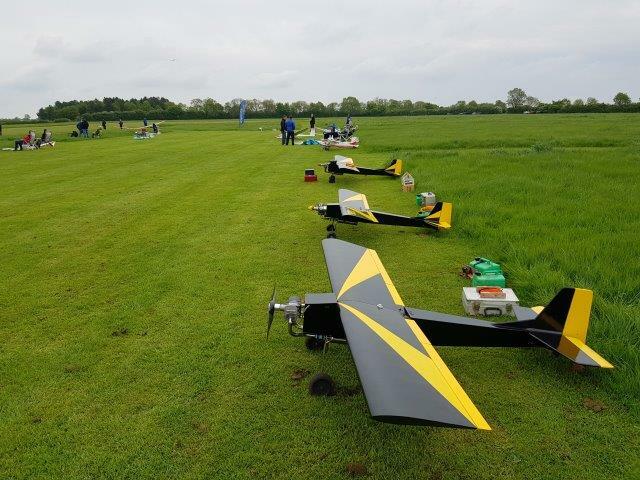 Of course, not all events hit the good weather and a small number took place in less than ideal conditions but without exception made the best of it and carried on as much as possible. 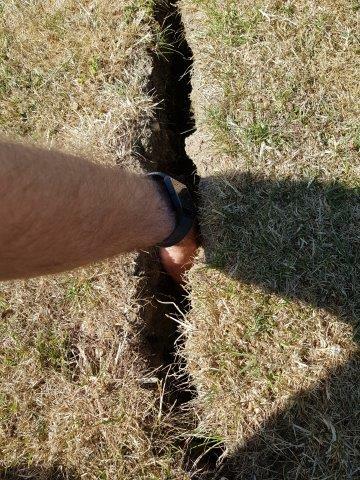 The dry conditions presented some challenges in terms of grounds maintenance and runway care with some fairly spectacular cracks appearing, often at the site of previous mole activity, as ever our dedicated team of volunteers kept on top of it and the runway and ancillary areas have remained in beautiful condition throughout the year. 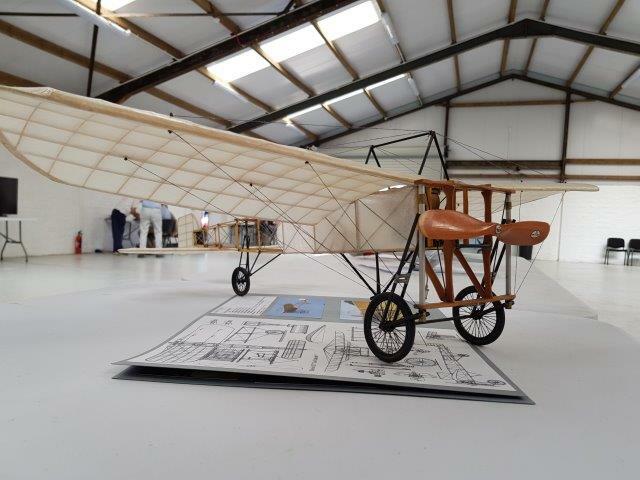 As you will recall the National Centre project has always been envisioned to take place over a number of phases of works, the initial work to create a flying site and refurbish the first three structures represents Phase 1 and despite the fact that there are always minor additions and alterations taking place Phase 1 is essentially complete. 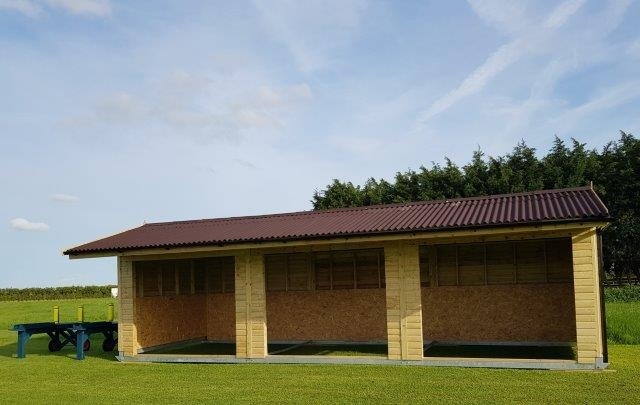 Phase 2 aims at further developing the facilities with particular focus on showers and accommodation. 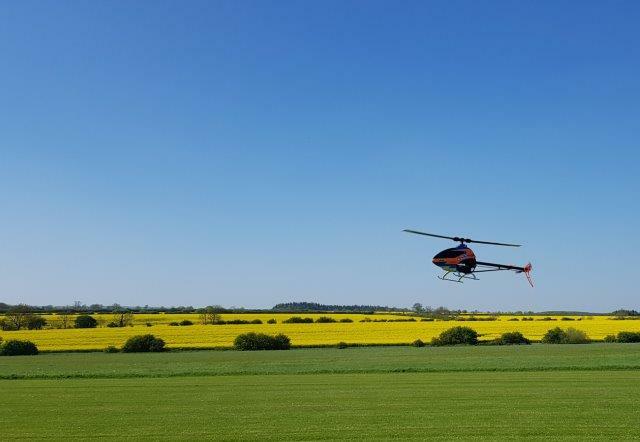 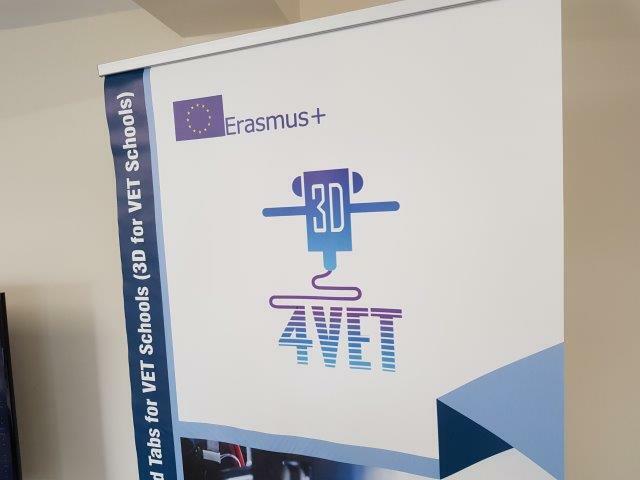 From the inception of the project it was always envisaged that further development would take place subject to external funding and at a rate that reflects the financial position as well as the demand. 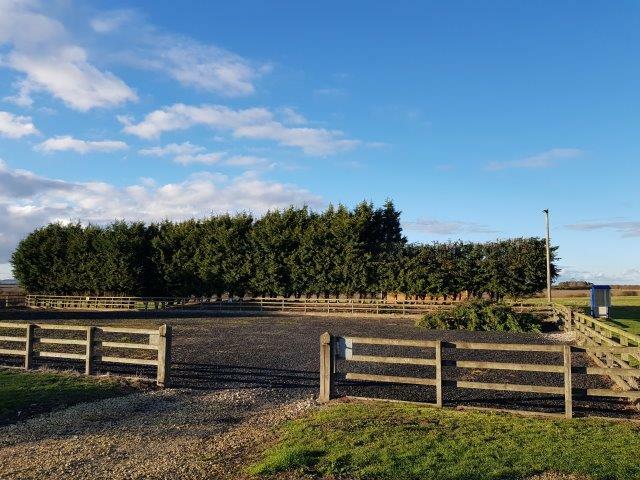 The initial plans focussed on using external contractors for the build element of Phase 2 as a route to completing works in a relatively short time period. 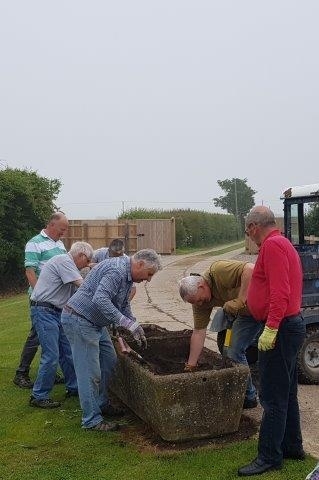 However, on further review it has been decided that this route is not at this time financially viable and we are now in the process of putting together a schedule of works to complete the project as a self-build over a longer time period with our willing and able team of volunteers taking on the majority of the work. 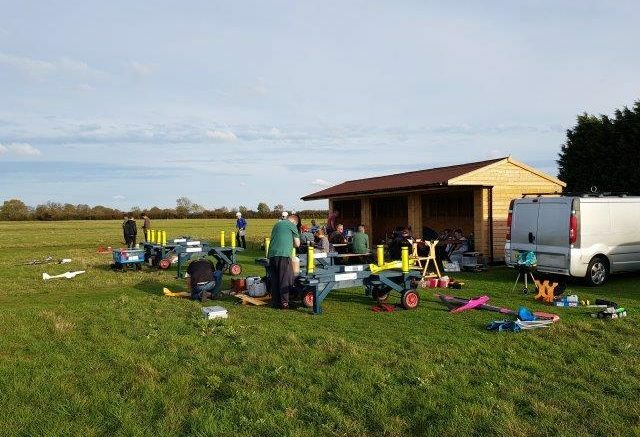 If you have a relevant construction/building skill set and would like to donate a little of your free time to the project then do please get in touch. 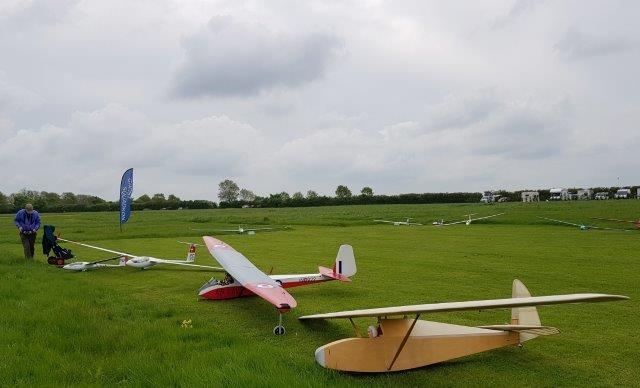 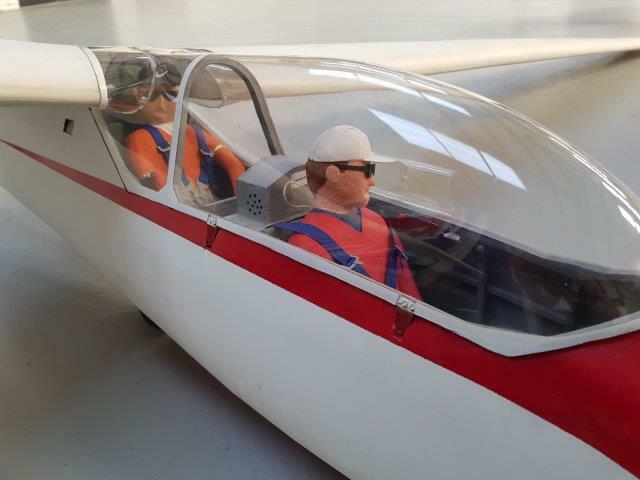 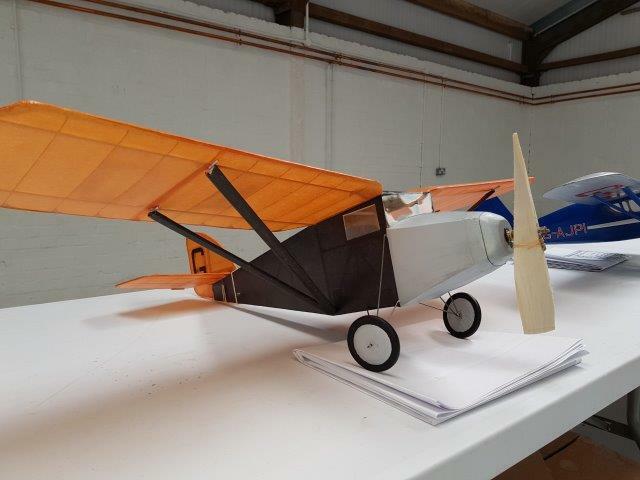 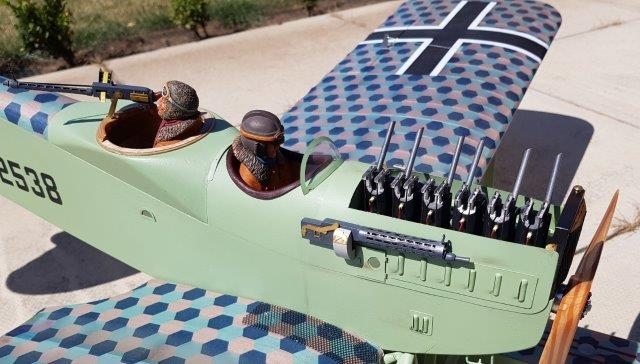 One of the stated aims of the National Centre project has been to accommodate as wide a range of model flying activity as possible, obviously this is easier for some disciplines than others. 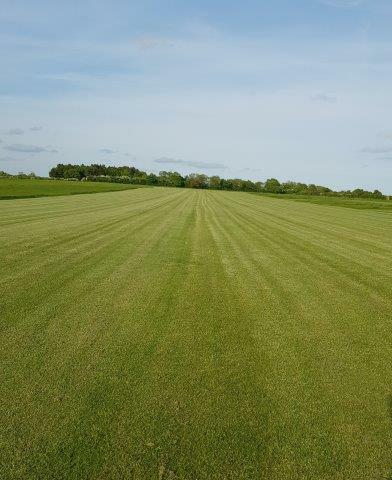 With this in mind the provision of a hard surface control line circle has always been part of the project plan but has perhaps taken a little longer to pull together than envisaged. 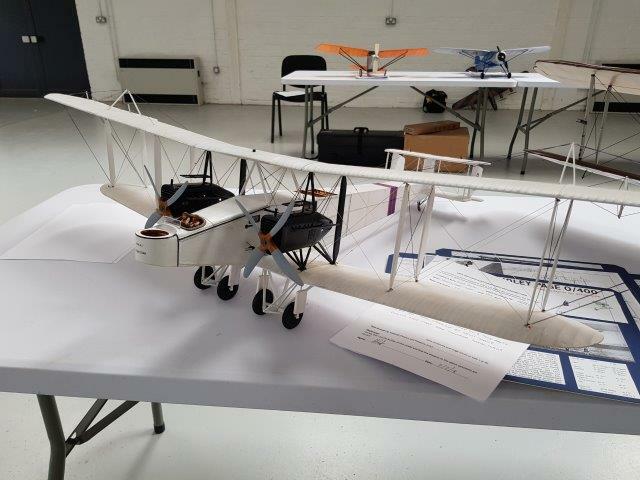 However, plans are now developing well in and progress being made. 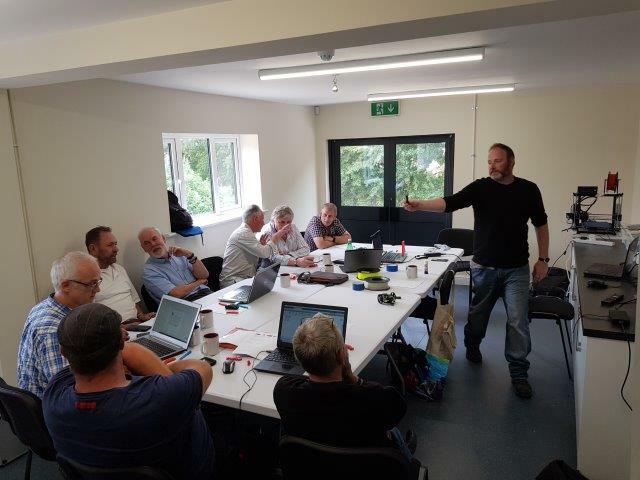 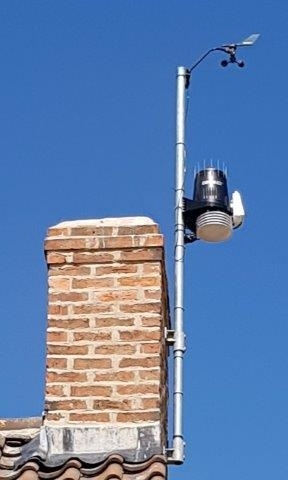 A Hard Circle Working Group has been formed who report to the National Centre Steering Group and as well as scoping the project in terms of noise testing, construction requirements and specification they have also raised significant funds toward the project through donations from the control line community. 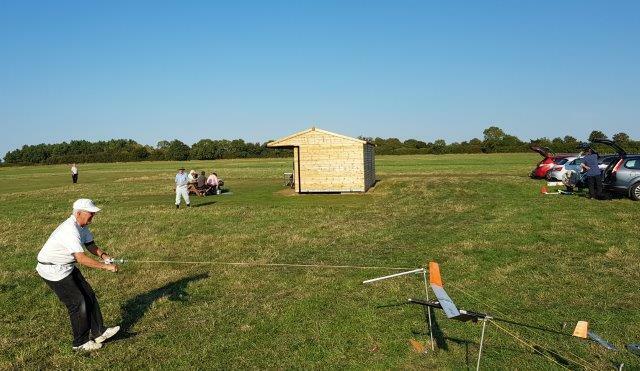 At the commencement of the project a funding allocation was made to the provision of a hard circle but it was always envisaged that additional funding would need to be obtained in order to complete the project, this aspect is going well and the group have come up with a number of initiatives and are well on their way to the target figure, however they would certainly be pleased to hear from anyone who would like to contribute to the hard circle element of the project, further information can be viewed on the relevant page of the website. 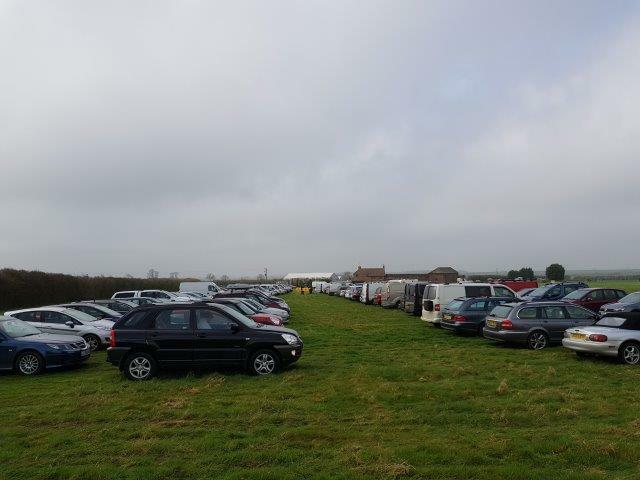 An additional aspect of the hard circle is the joint provision of facilities for the vintage tethered car community. 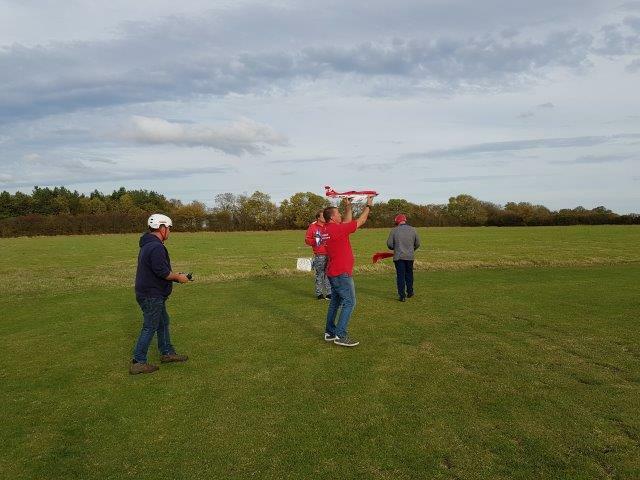 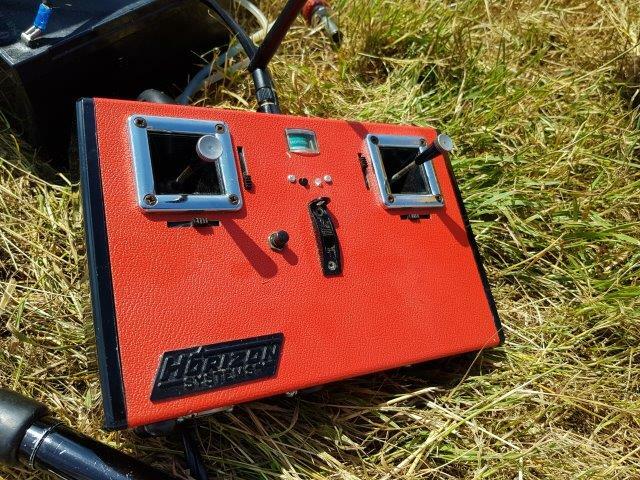 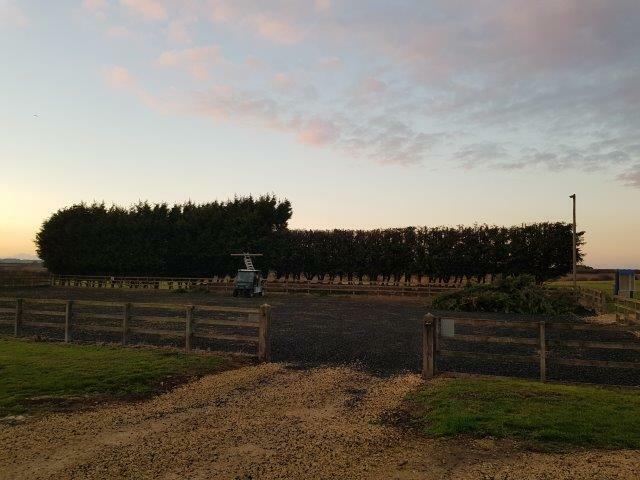 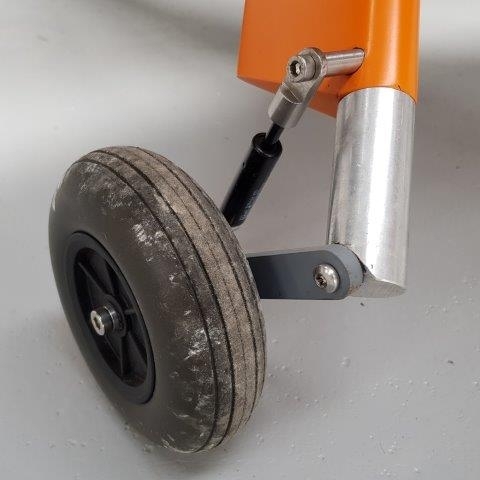 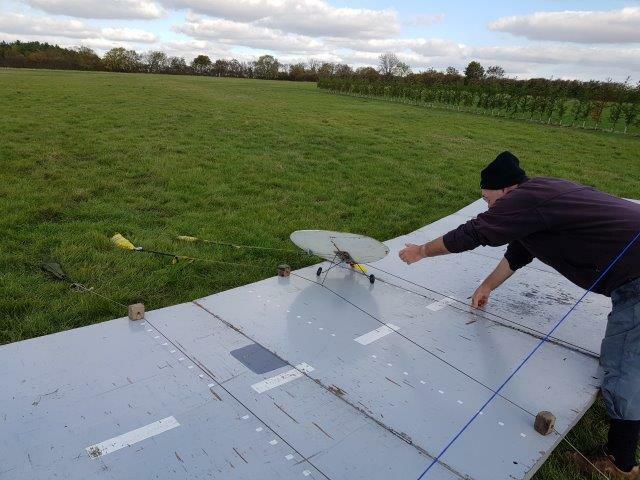 Running tethered cars is a popular activity and has a strong following in the UK, the discipline has recently been recognised and adopted by SAM 35 which is very positive, overall the required facilities are very similar to control line with just a slightly smaller circle and an alternative centre pylon required. 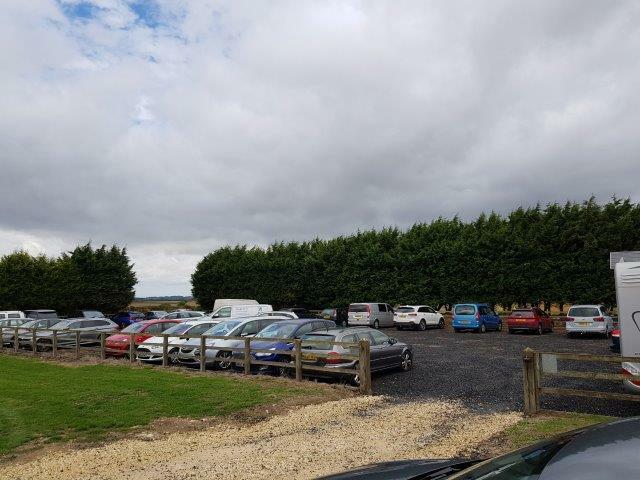 Welcoming the tethered car community to the National Centre is a very positive step as it will give them something of a “home” with good facilities (there are currently very limited tethered car facilities in the UK) and also valuable additional usage and revenue for the Centre. 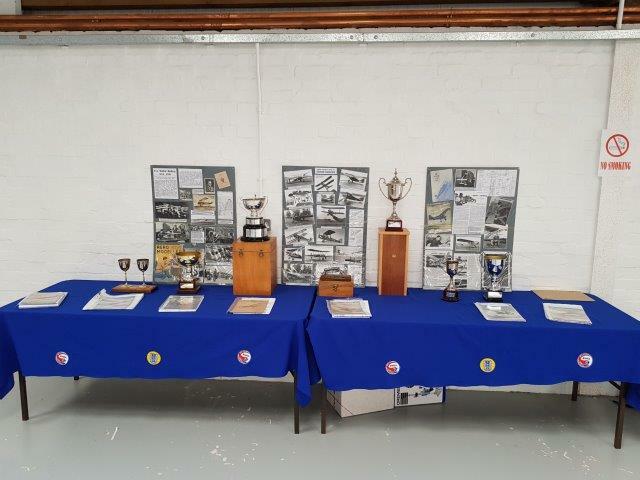 From the start of the project it was always envisaged that donations and bequests would play a significant part in the further development of the Centre and it’s facilities, this has proven to be the case and we are very grateful to those who have already donated, the project has received considerable donations and a couple of significant bequests as well as sponsorship from our insurance brokers and Ad-Manum consultants. 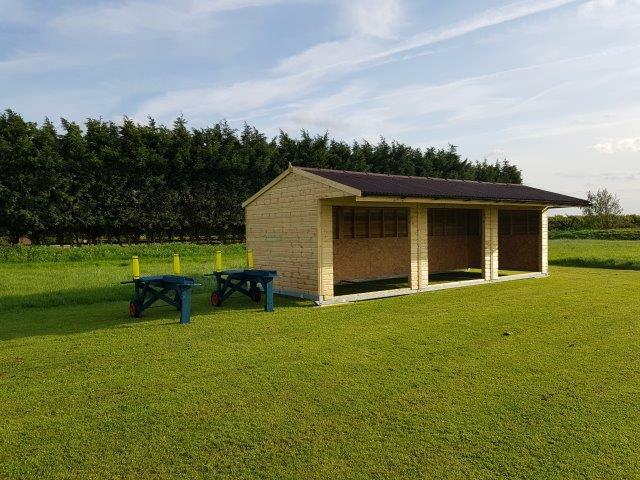 For 2018 we attracted over 60 season ticket holders. 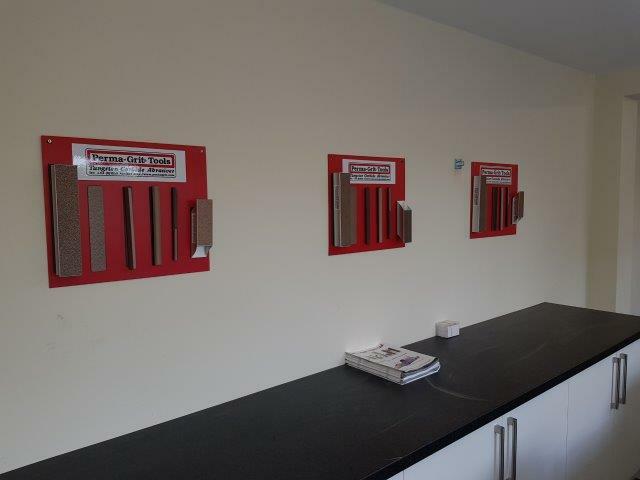 This is of course very much appreciated as season tickets do represent an important element of the overall income. 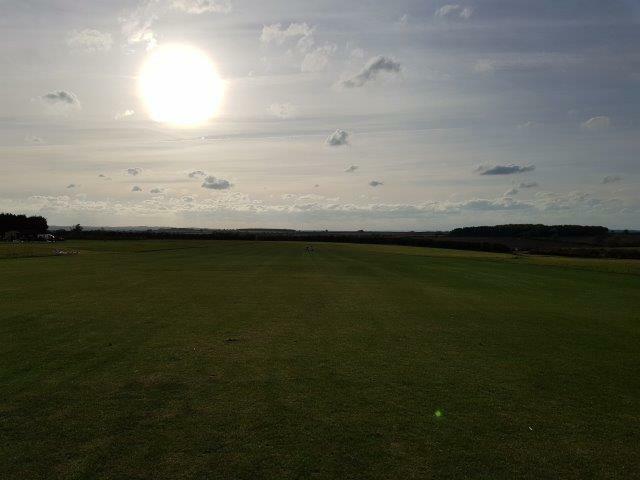 With this in mind the 2019 season ticket price remains the same as 2018 i.e.£70.00 for the full year. 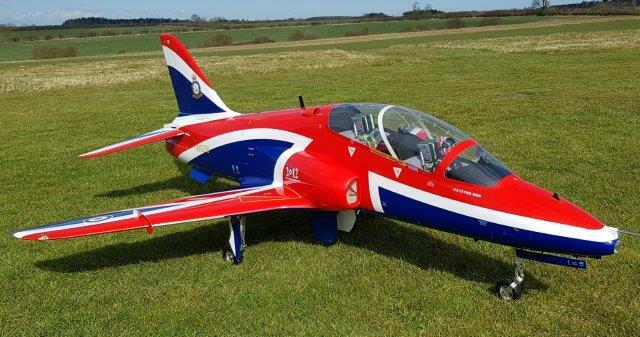 Season tickets are available for the 1st of December so for those who are taking out one for the first time you can actually get 13 months for the price of 12. 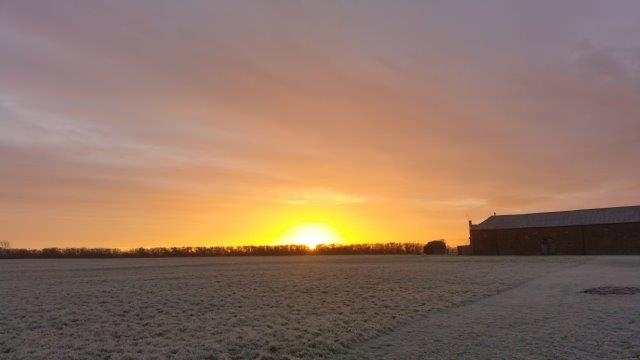 Thank you again to all those who have purchased season tickets, it really is a great way of supporting the National Centre project, we look forward to welcoming you again in 2019. 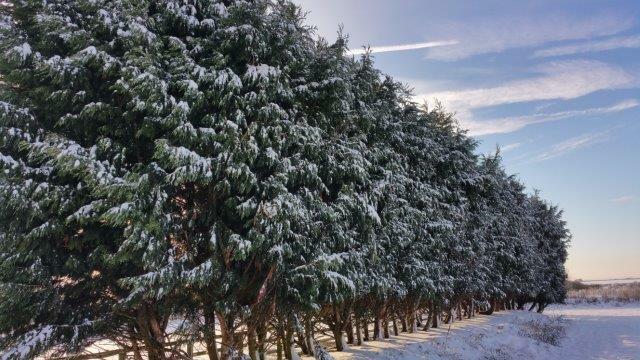 Based on the lessons learnt last winter we will be trialling “winter opening hours” over the coming months, this will mean that for a part of each week the site status will be “season ticket holders only” this is aimed at reducing the staffing requirement over the winter months and also limiting running costs during the part of the year when income is minimal. 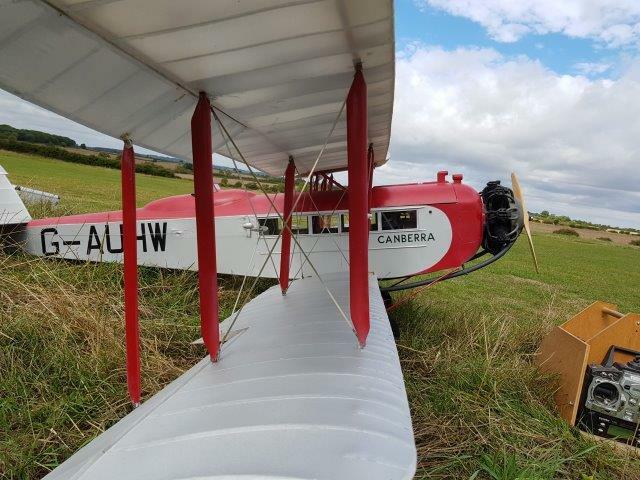 For the remainder of November the Centre will be fully open (for day ticket flying) Monday, Thursday and Friday and season ticket holders for the rest of the week and weekend, this will possibly reduce when we are into December, January and February to reflect the limited flying opportunities, as always the important point is to check the site status on the website before travelling. 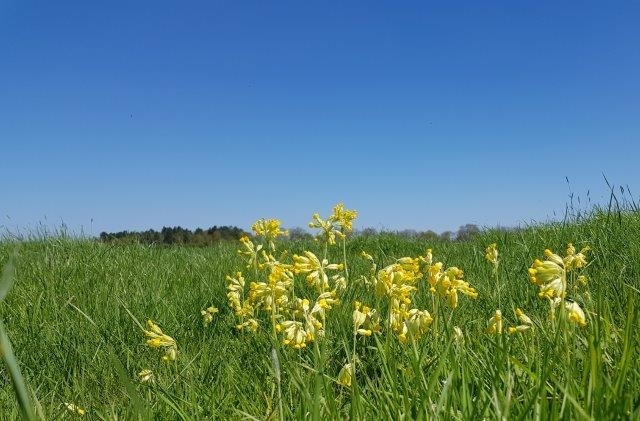 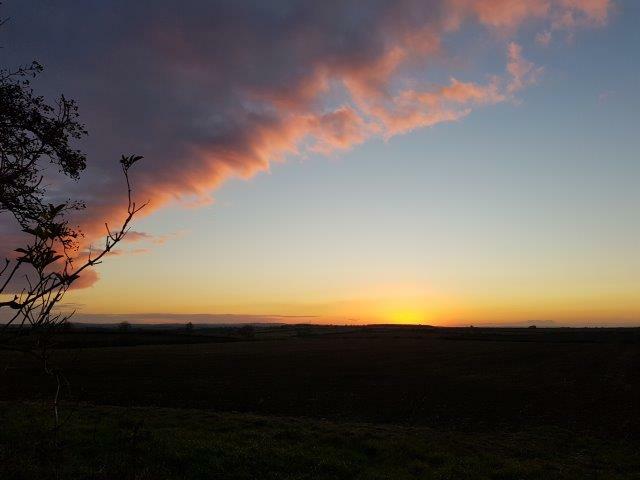 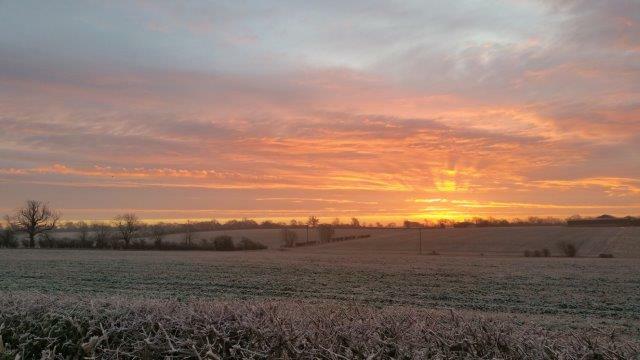 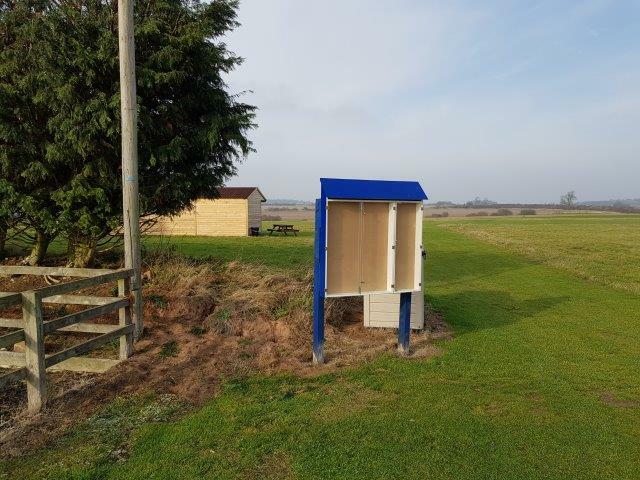 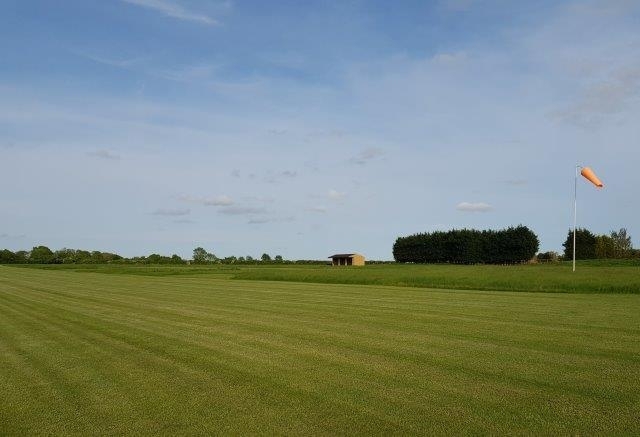 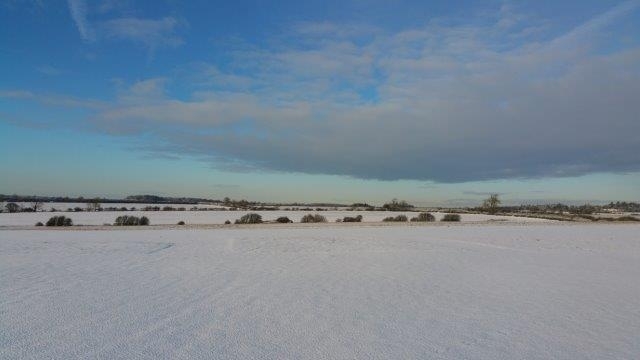 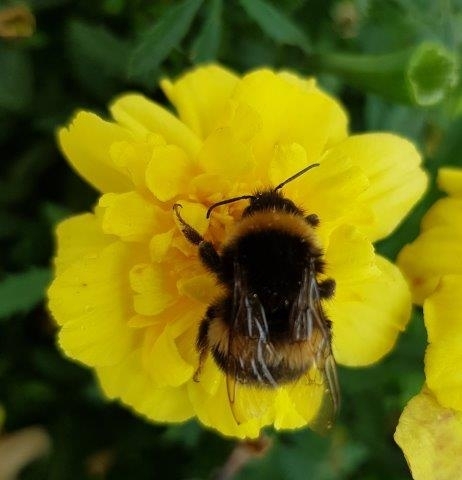 There will of course be some flexibility and should a period of settled weather be forecast then we will arrange for the site to be open and the status updated, the site can also be accessed by arrangement in advance. 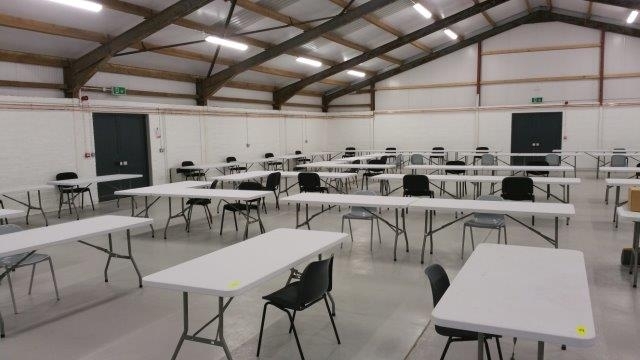 The fees relating to the National Centre have now been reviewed and set for the coming year. 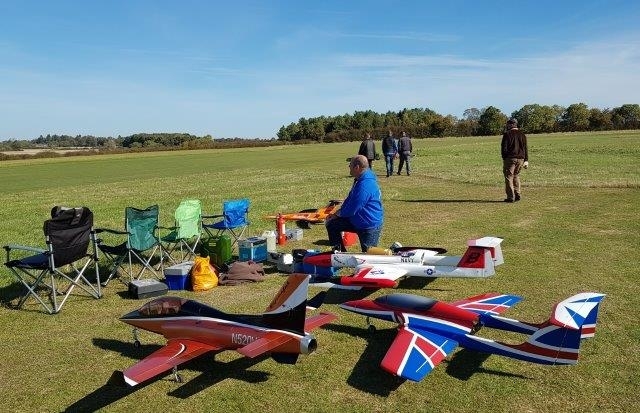 The whole-site and flight-line prices will remain at the current level for 2019. 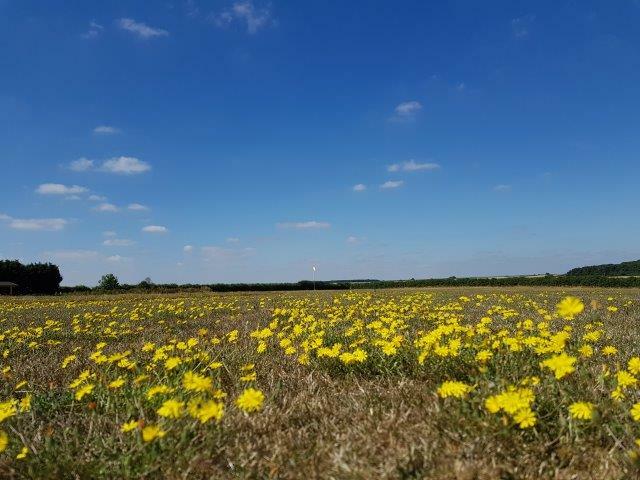 The general day ticket price will increase from £6.00 to £8.00 and camping will increase to £10.00 per night with special rates and packages available for events. 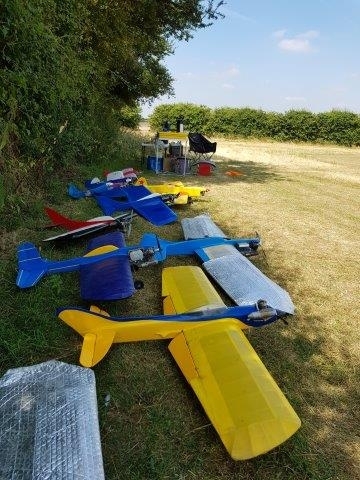 Whilst the increase in camping charge is fairly significant in percentage terms, prices were initially kept deliberately low to asses the demand and reflect the facilities available, however, having reviewed similar sites and facilities, (although none with model flying opportunities of course) discussed with visiting campers and evaluated the running costs associated with the campsite (the amount of “waste” produced is nothing short of spectacular!) 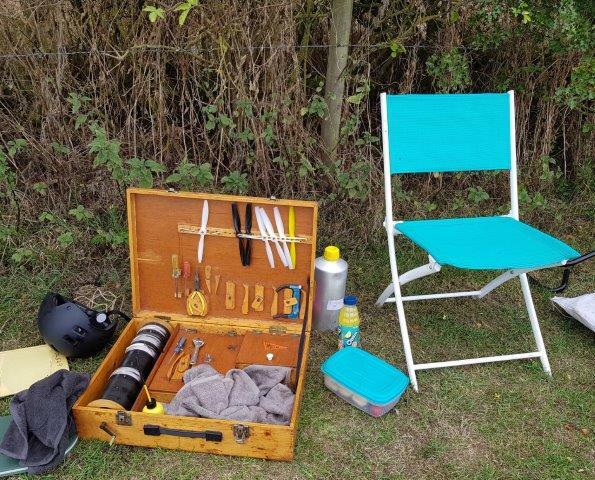 we feel that the revised charge represents good value (the negative element of camping is the revenue generated is subject to VAT). 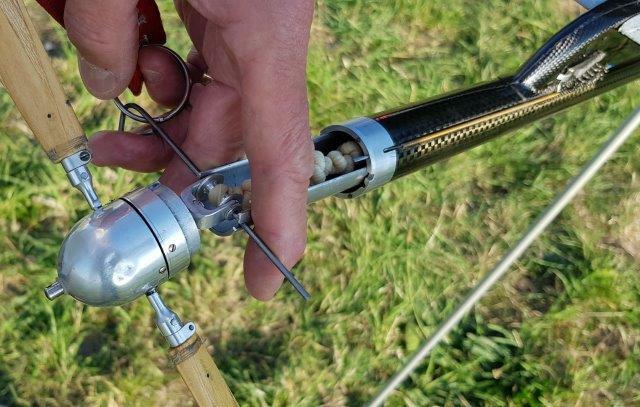 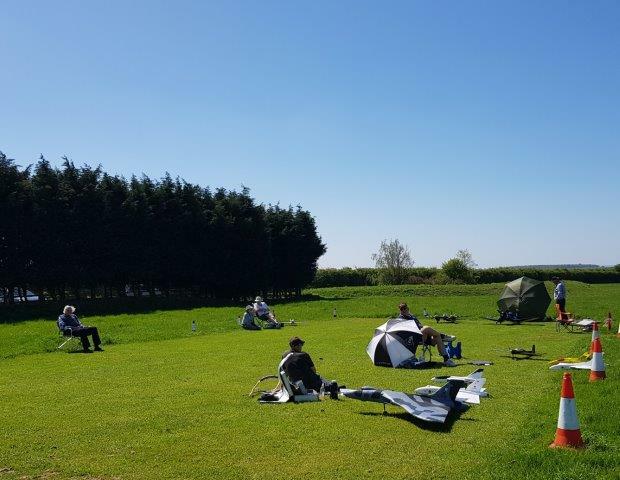 Note: that the camping price will not go up to the full rate until further facilities (showers) are developed, until then an interim price of £8.00 will be introduced at the start of 2019. 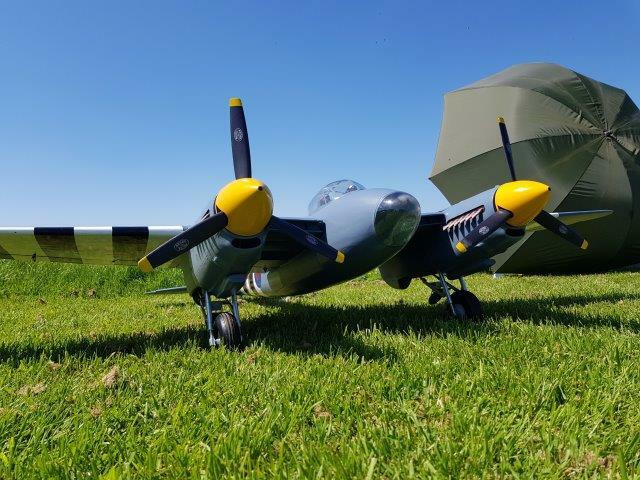 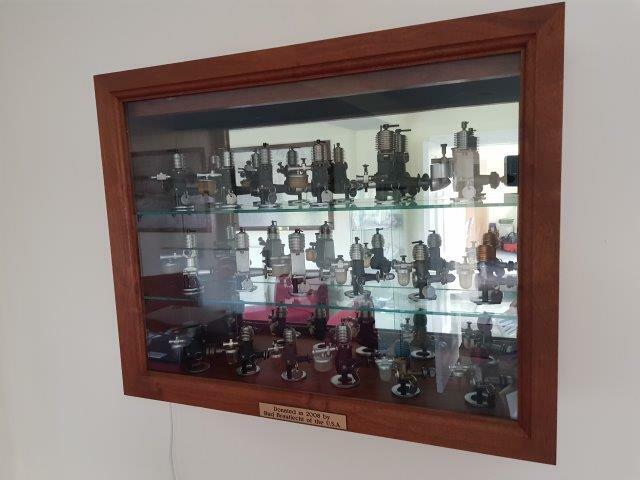 The calendar is already filling up nicely for the coming year and we have bookings for a couple of new events as well as repeat bookings for events that are set to become established regular features on the National Centre calendar. 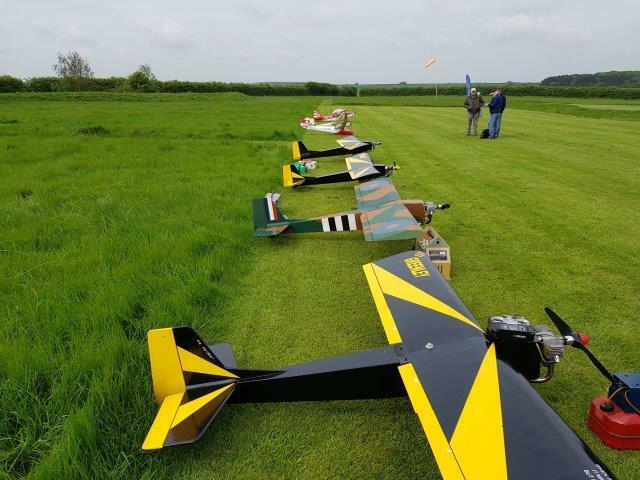 Keep an eye on the Centre Events Calendar (soon to be populated for the coming year) for a full programme, there should be something to cater for most tastes within model flying. 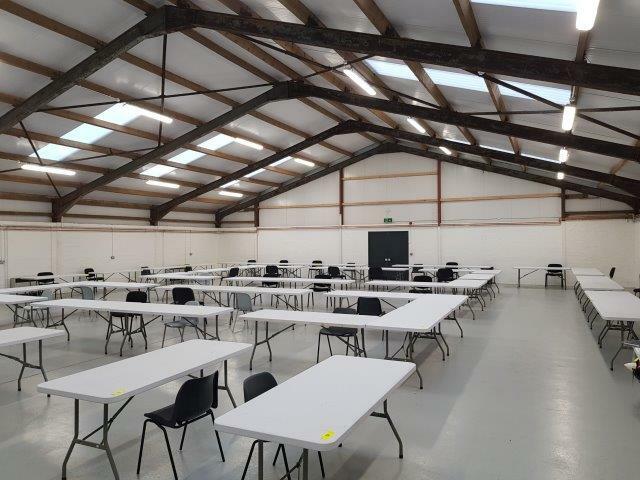 Also, if you have an idea for an event or would like to discuss holding an event of your own at the National Centre then do get in touch. 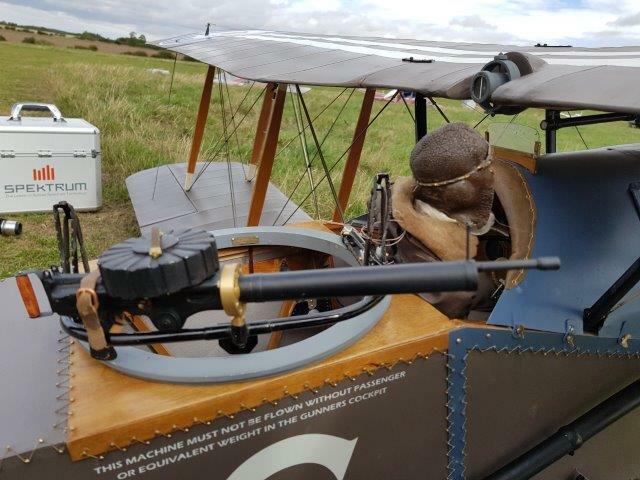 We are also starting to take bookings for club “away days” which proved very popular last year. 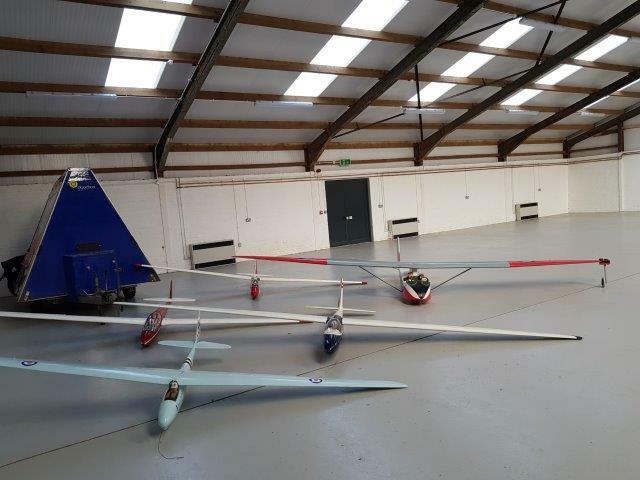 Whether it’s doing your established aeromodelling “thing” or trying something new, we look forward to welcoming you to the National Centre. 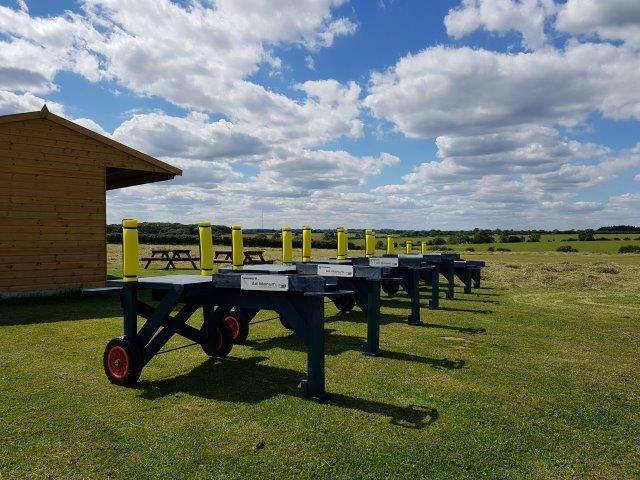 One of the challenges we are already facing is accommodating all booking requests for the coming year whilst at the same time maintaining the desired balance of activity and noise mitigation, overall not a bad problem to have. 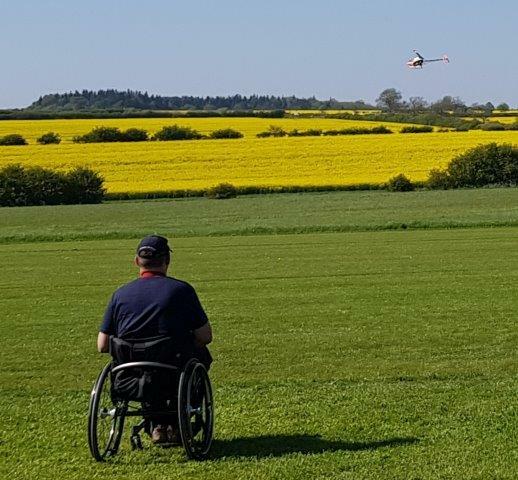 We always brief this at every event but within this blog would seem a good place to include a reminder. 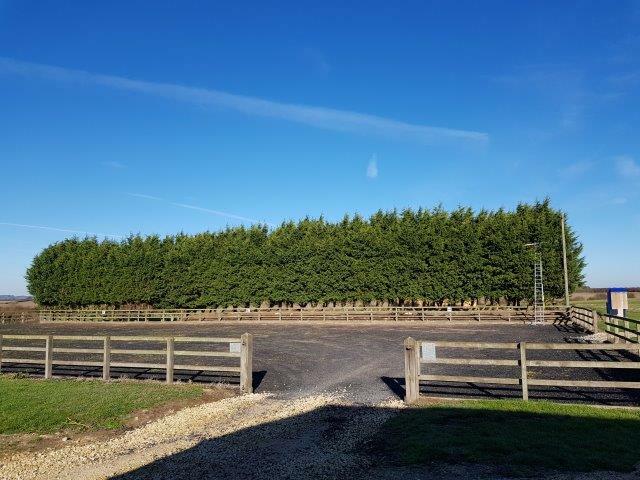 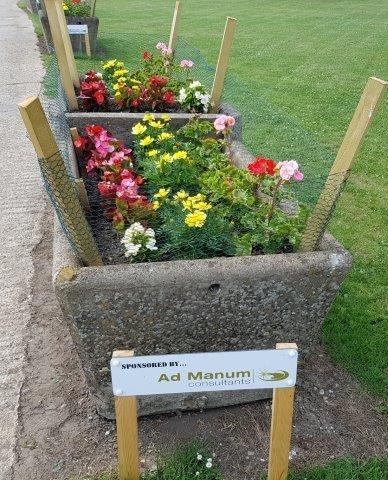 We work hard to maintain a positive relationship with the local community and overall this has worked very well, we have been praised by the local horse community for our members care and courtesy when they encounter horse riders on the roads around the site which is great to hear. 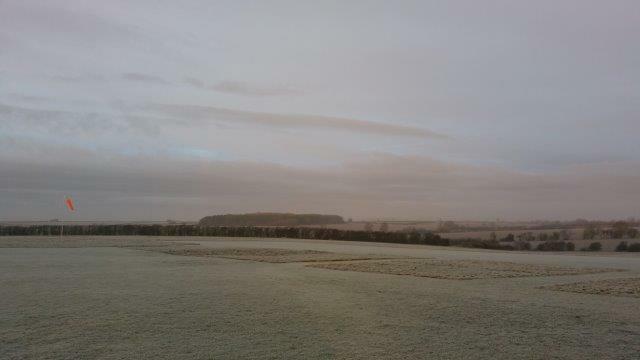 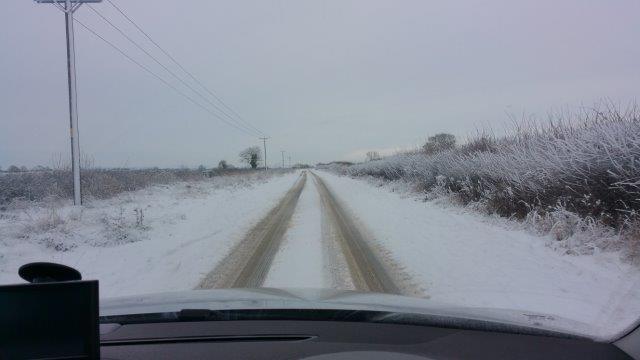 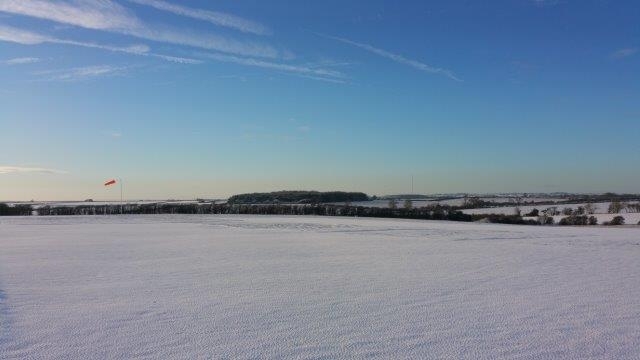 Due to the rural location of the National Centre the roads are always going to require a degree of care. 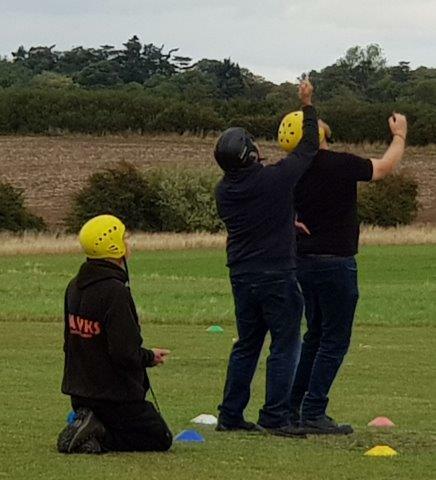 When visiting the site if you encounter horses, pull over and let them pass, if they are particularly skittish or you can see that the rider is struggling then it is good practice to turn off your engine until they are well past, it only takes a few seconds and all helps to promote positive relations. 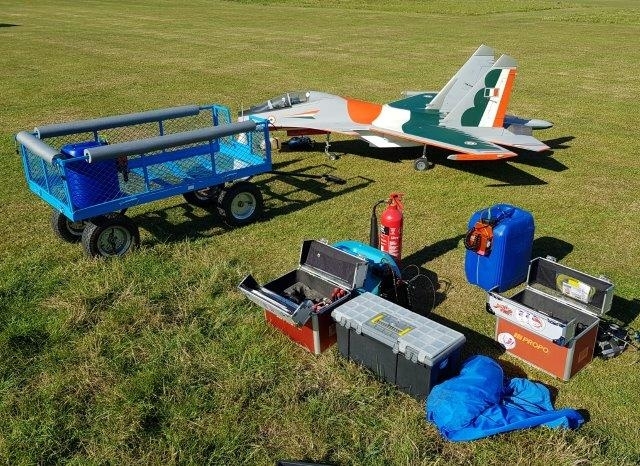 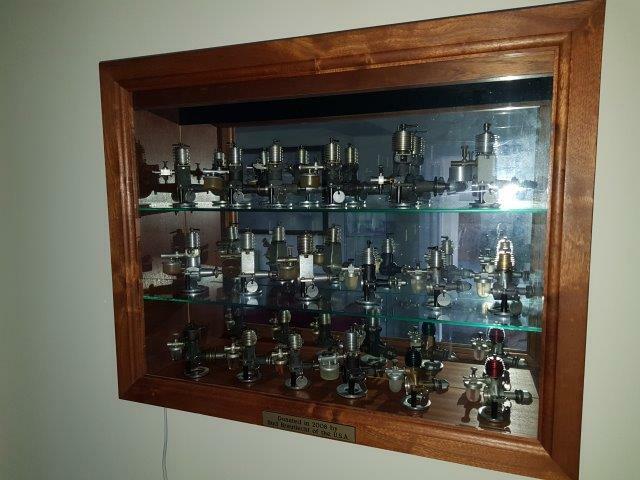 Now that we are coming to the end of our first full year of operation and have been through a complete “cycle”, it is of course time to take stock and see where we are in relation to the original project plan, and also where we should be heading for the coming year. 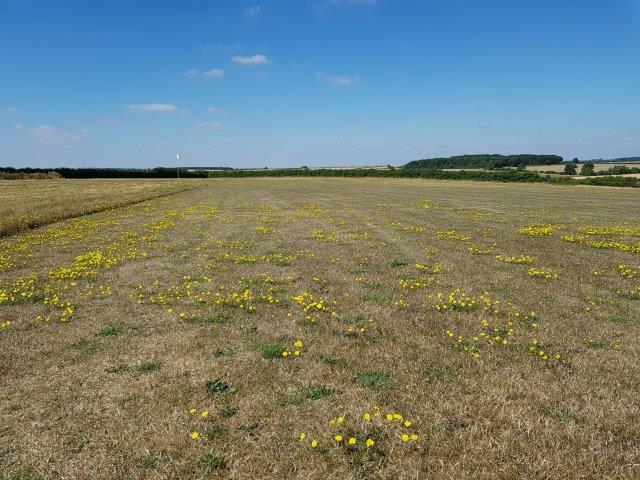 Overall it has to be considered a positive start, utilisation has been very good with a pleasingly diverse range of activity. 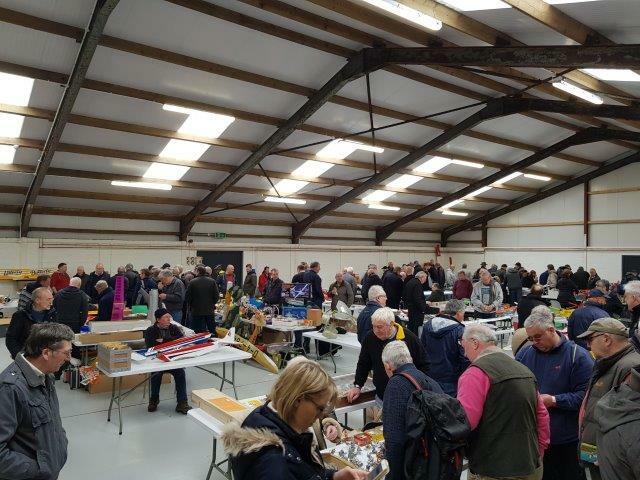 Interest and support from members has also been very good with a regular stream of visitors dropping in for a look around and to plan future visits. 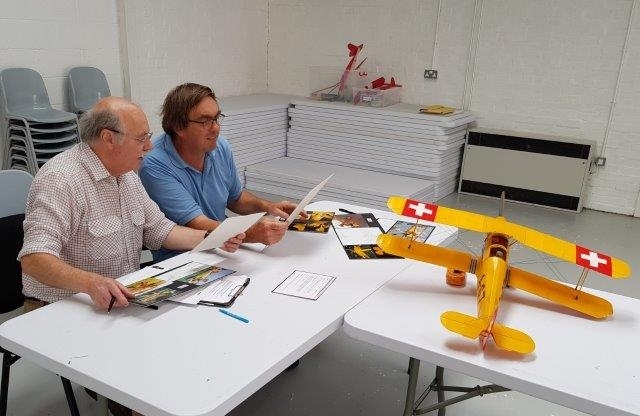 Reviews published in the modelling press and feedback from those who have attended events have all been very positive. 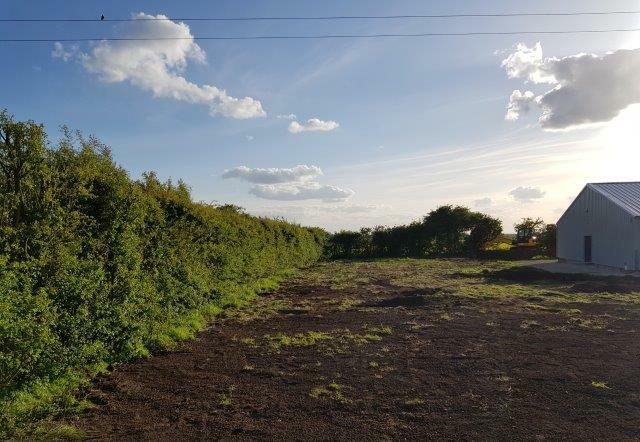 We will continue to maintain and develop the site and further refine the way in which it is used and Phase 2 works will begin early in the year. 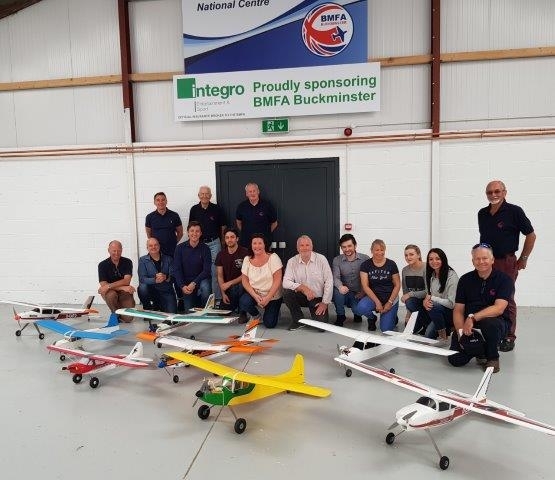 A huge debt of thanks is owed to our team of volunteers without whom the National Centre would not be the success it is and who are also a complete pleasure to work with. 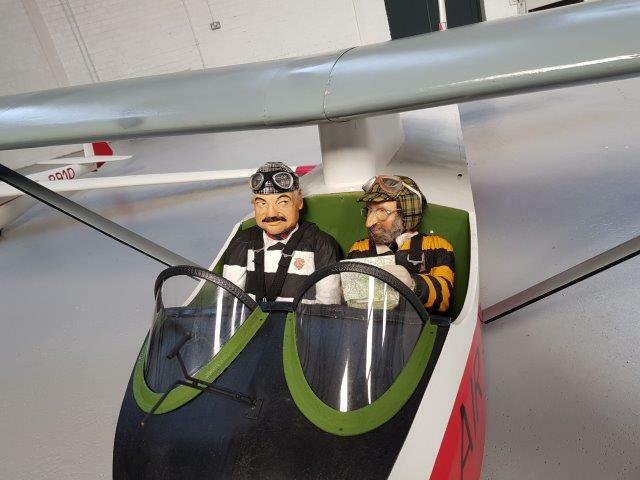 Thank s are also due to all those who have supported the project through visiting, booking, using, donating and reviewing, we look forward to welcoming you all in 2019.